Ever had a week that makes you feel like this? Yeah, that has been my week. It has felt long and busy, but productive and good. So, by today I’m feeling just a little loopy. And I’m extremely grateful for the weekend arriving just in time. So, on this Friday, I declare that we need to carb up for the weekend. And we need to carb up to celebrate the royal wedding. 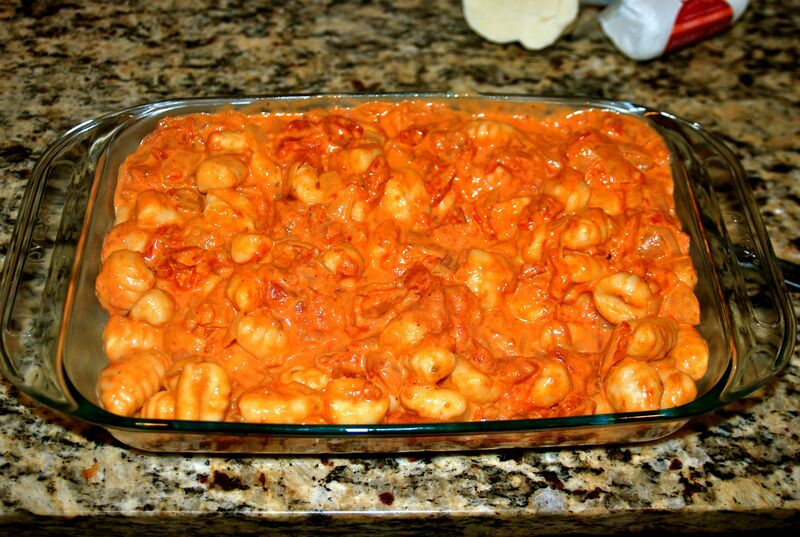 So, without further ado I give you Spicy Vodka Cream Gnocchi Cheesy Bake. I think I need to work on my recipe names. Eating gnocchi is like consuming little magical pasta pillows. Er… something. Let’s get started. Preheat your oven to 400 degrees. Start with a large non-stick skillet over medium heat. 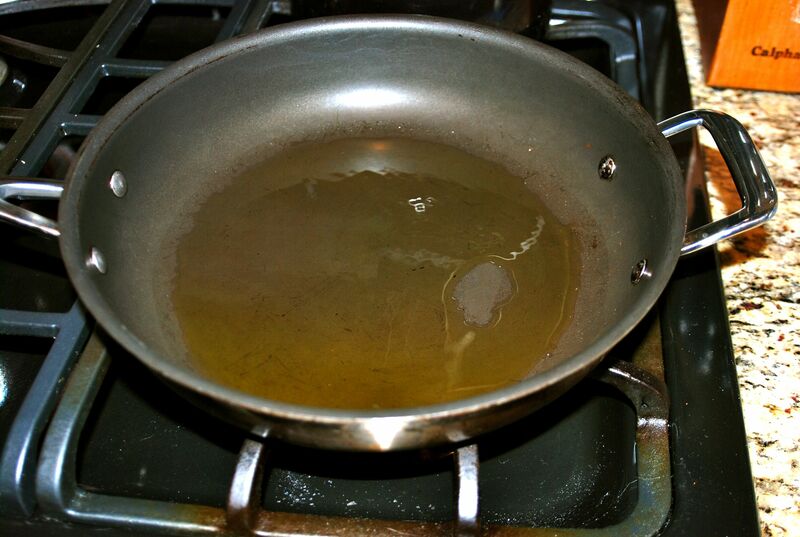 Put a good amount (2 T) of olive oil in the pan. 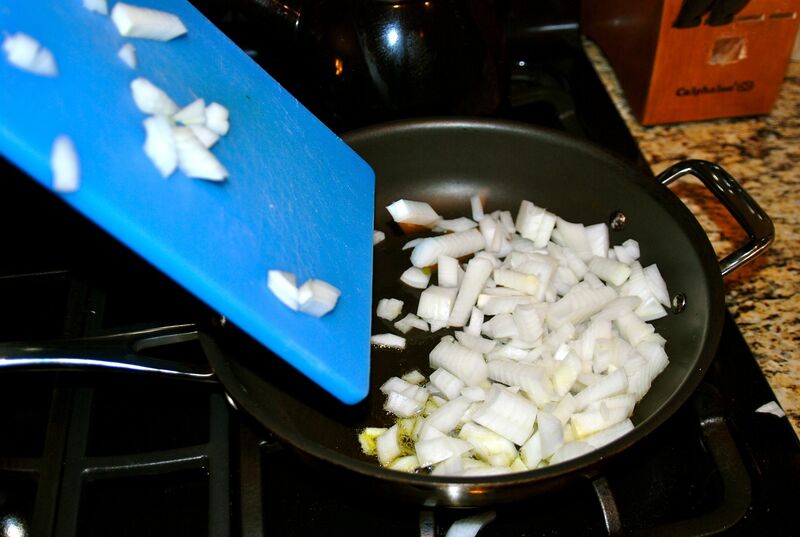 While that heats up, chop up an onion. 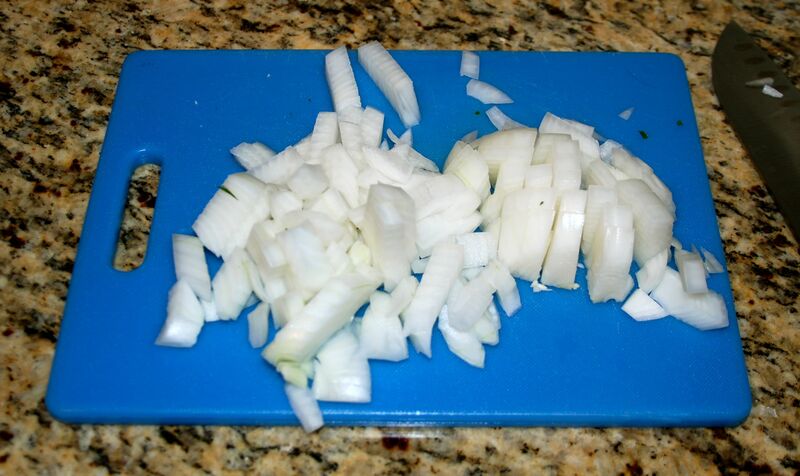 I used medium white onion, but you can use whatever kind of onion you happen to have on hand. 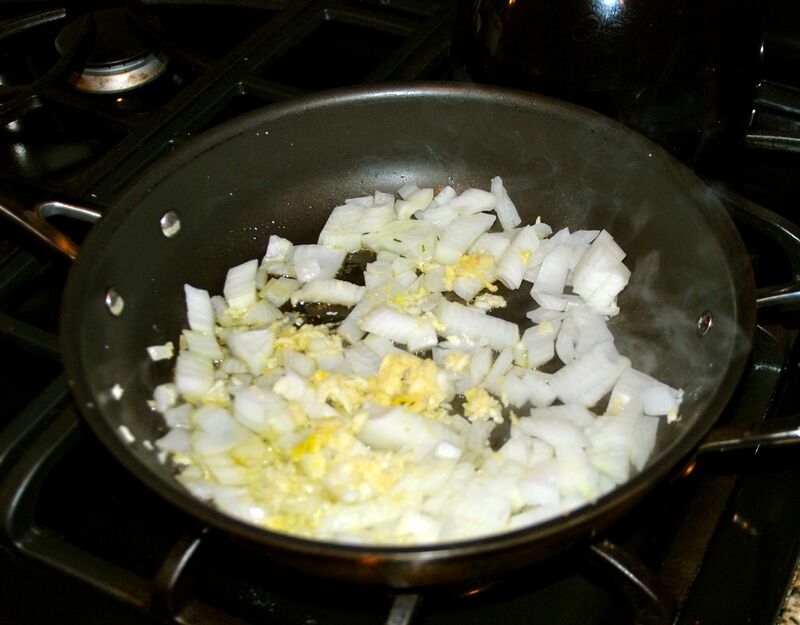 Drop that onion into your skillet. And let it soften for 3-4 minutes. We don’t want it to get too browned, so it if it is starting to brown that means your heat is too high. Just turn it down a bit and let that onion go. 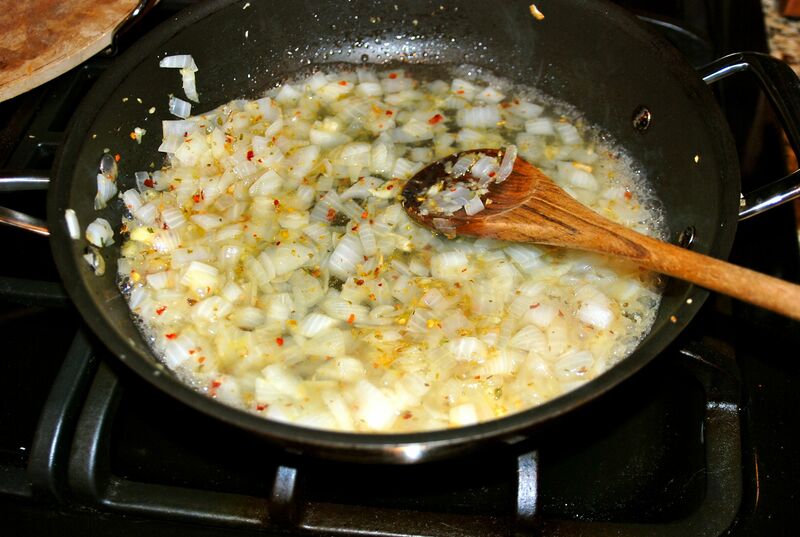 Add in 2-3 cloves of chopped garlic. 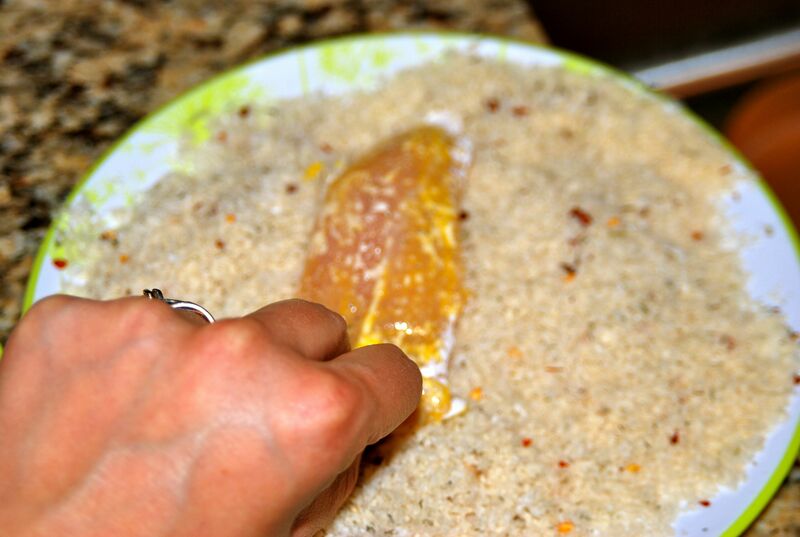 And mix it all up to make sure everything is coated in the olive oil. 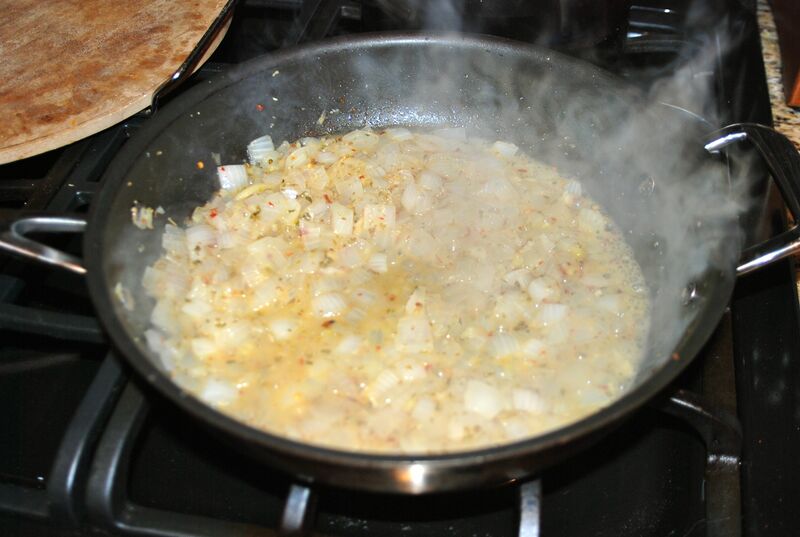 There is nothing that smells as delicious to me as a little onion and garlic in a hot pan. MMMMMM. Now, we shall crank up the heat. So, I used a generous teaspoon of crushed red pepper flake. 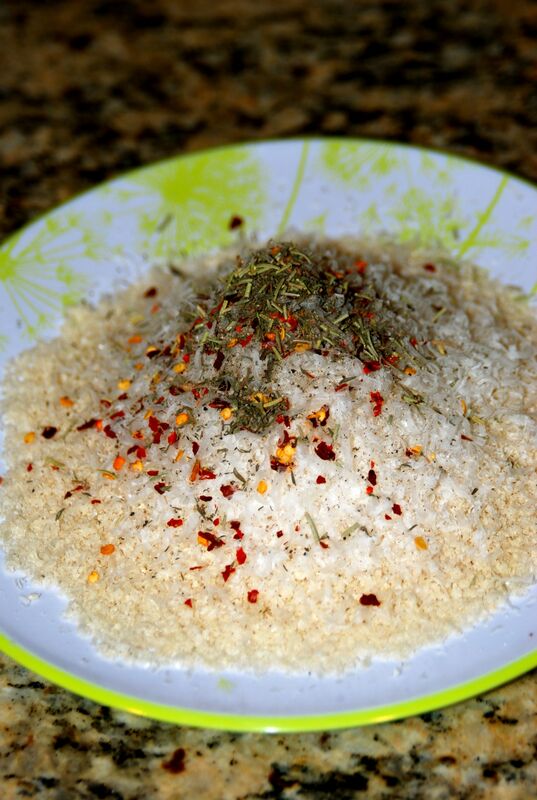 If you don’t like the heat, you can use as little as 1/4 t. of crushed red pepper. Just enough to add a bit of background flavor without adding any of the burn that I crave. Now add in 1 t. of oregano. And stir that all together. 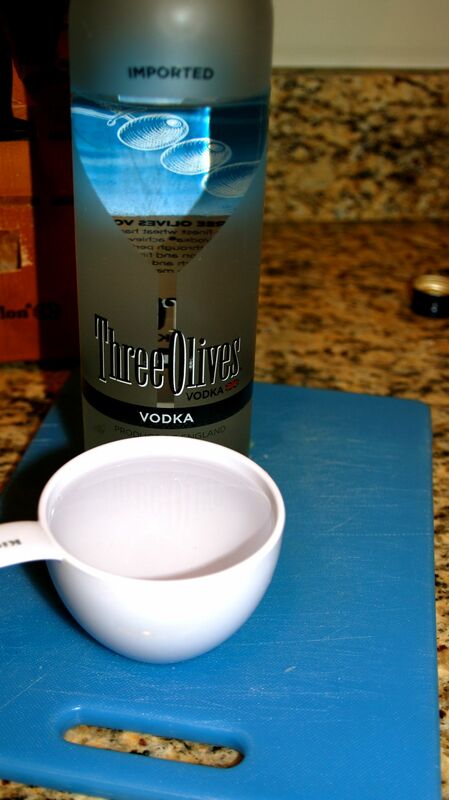 Pour 1 cup of vodka into a measuring cup. Then add that vodka carefully to your skillet. If you cook over an open flame like I do on my gas range, please be extra careful. I don’t want to be the cause of singed eyebrows from the vodka flaring up. 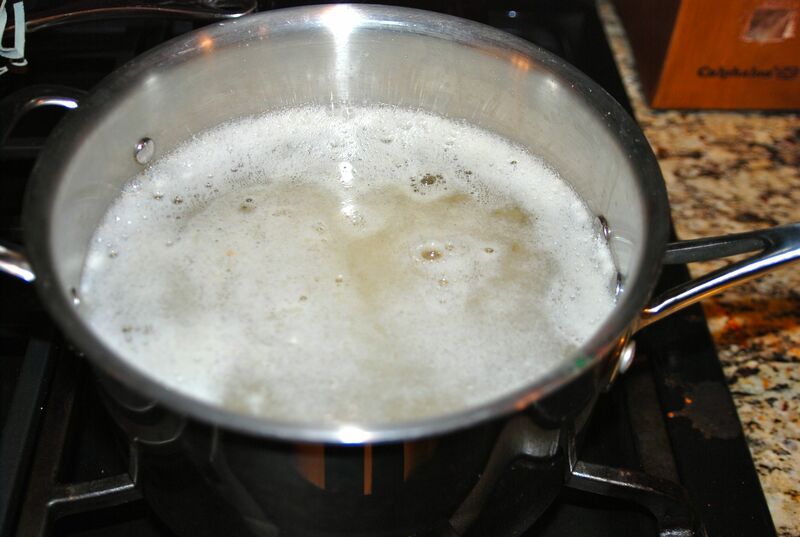 I’m sure you know this, but heating alcohol to 173 degrees or hotter (basically when it starts boiling) will cook all of the alcohol out of the recipe, so you don’t have to worry about eating this and getting all boozed up eating this food. 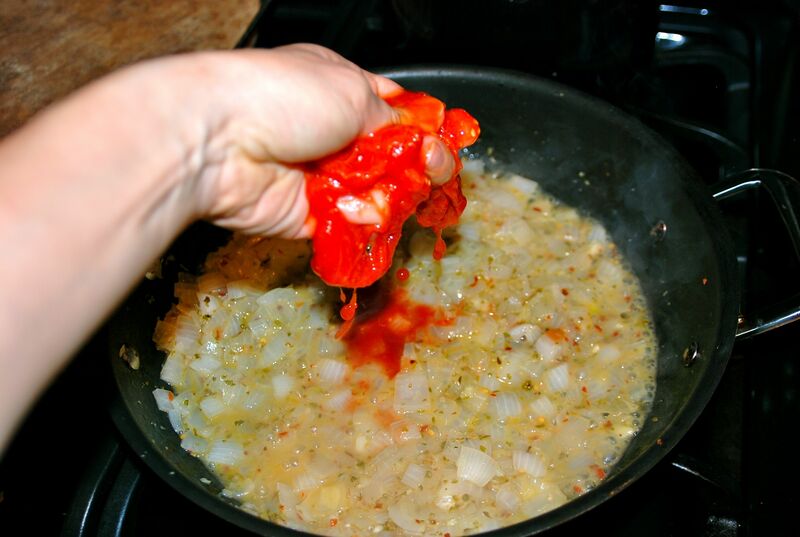 Allow the vodka to reduce, until the sauce starts to look more translucent and thicker. Get out a 28 oz. can of tomatoes. I prefer the whole tomatoes, but you can used diced if you like. 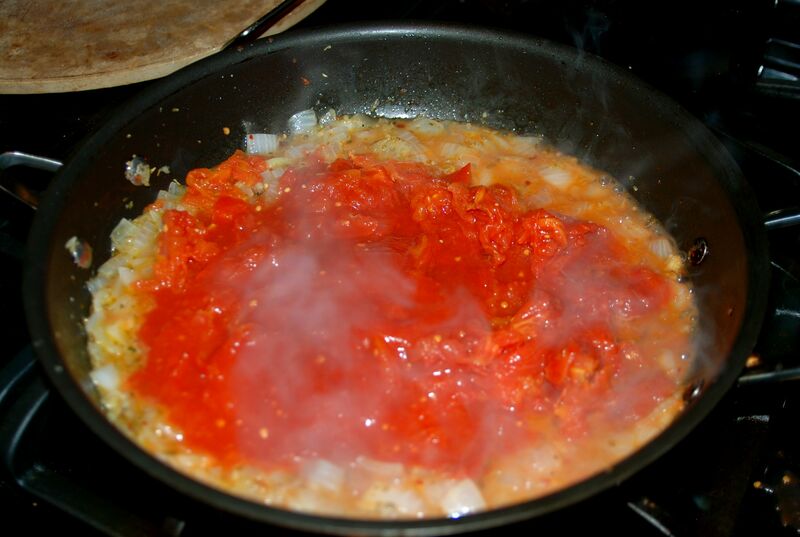 I wouldn’t used crushed tomatoes for this recipe, because the texture of the tomato adds to the overall dish. 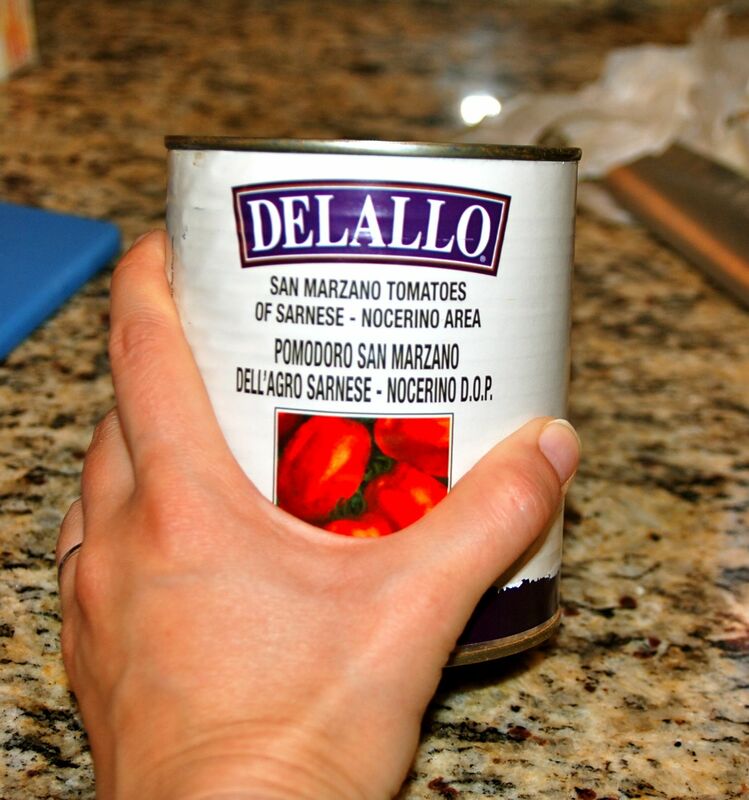 I personally love San Marzano tomatoes- these can usually be found in the Italian Foods section of the grocery store. They are not next to the hundreds of canned tomato options in the canned goods aisle at my store. They are about double the price of regular tomatoes, but they are sweeter and less acidic and decidedly more delicious. 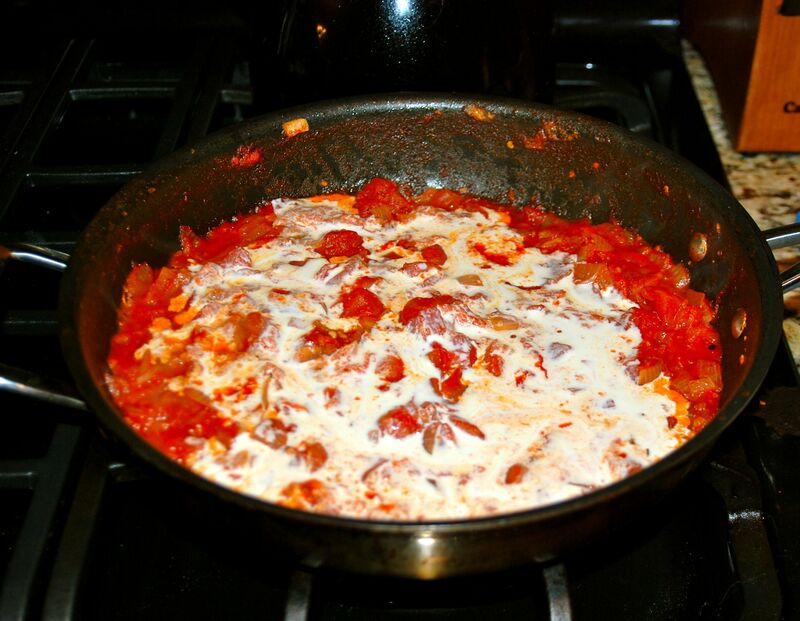 If you choose to use canned whole tomatoes like me, you get to participate in a fun step in this recipe. The ceremonial crushing of the tomatoes. This allows you the perfect opportunity to work out some stresses from the week. Grab a tomato and crush it to smithereens in your hand. 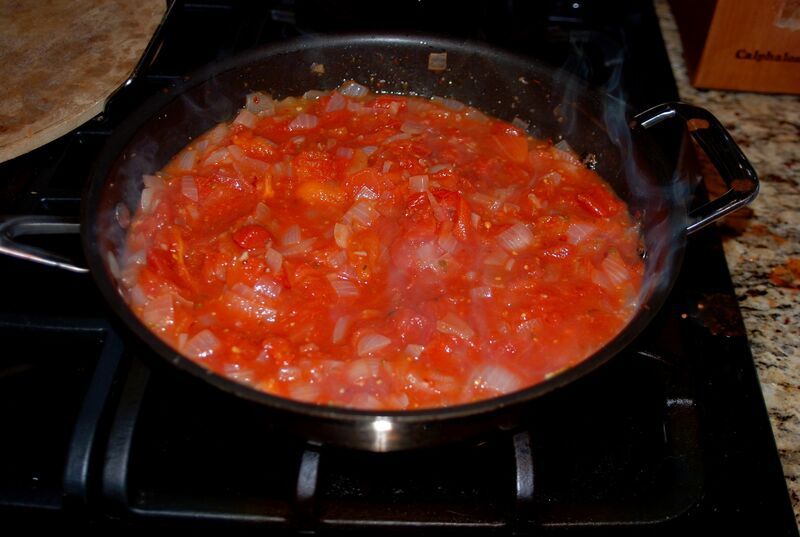 Continue until all of your tomatoes are crushed up and in the pan. 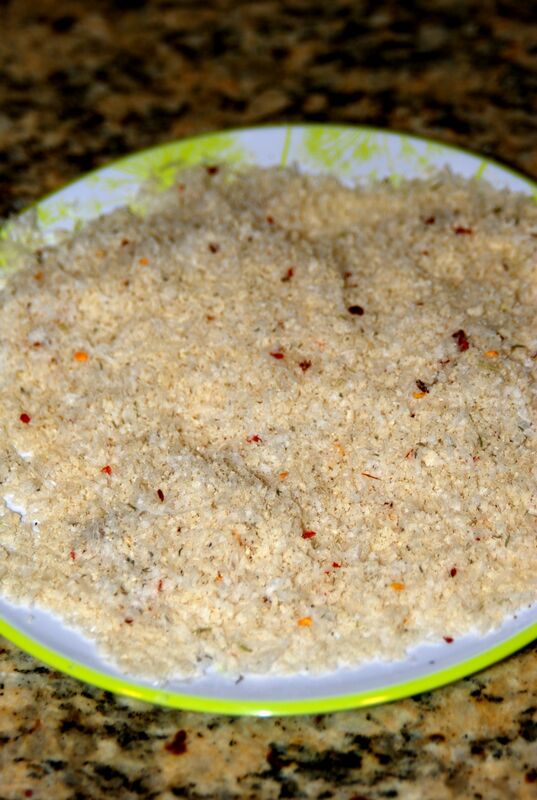 And then a generous sprinkling of salt (1/2 t.) and pepper (1/4 t.). 1/2 c. of the full fat goodness. Please don’t skimp here. 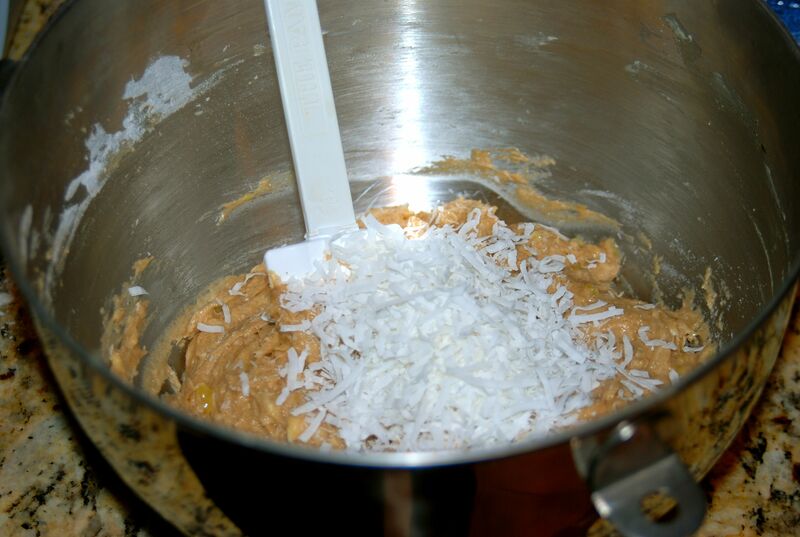 1/2 cup of cream will be spread out between 8 servings, so don’t worry about the fat or calories. Think only of the glorious flavor. 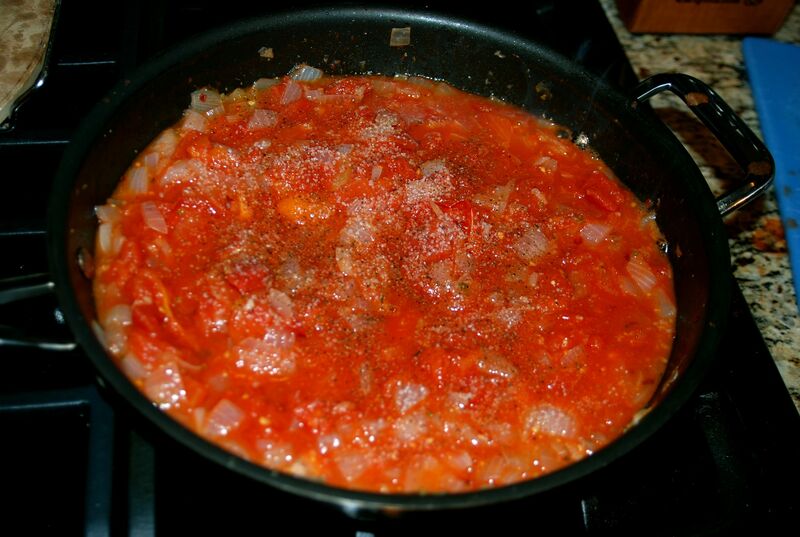 Your sauce is done, so after giving it a stir turn the heat to low. And lets cook our gnocchi. My grocery store carries fresh gnocchi from time-to-time. If they have it, I usually find it in the Italian Foods section with other fresh pasta and tortellinis. If they don’t have a fresh option, do not fear! March on over to the frozen aisles. Head down the aisle that has garlic bread and frozen lasagnas. There you should find a bag of frozen gnocchi. Pick it up. Give thanks. Plop it in your cart. 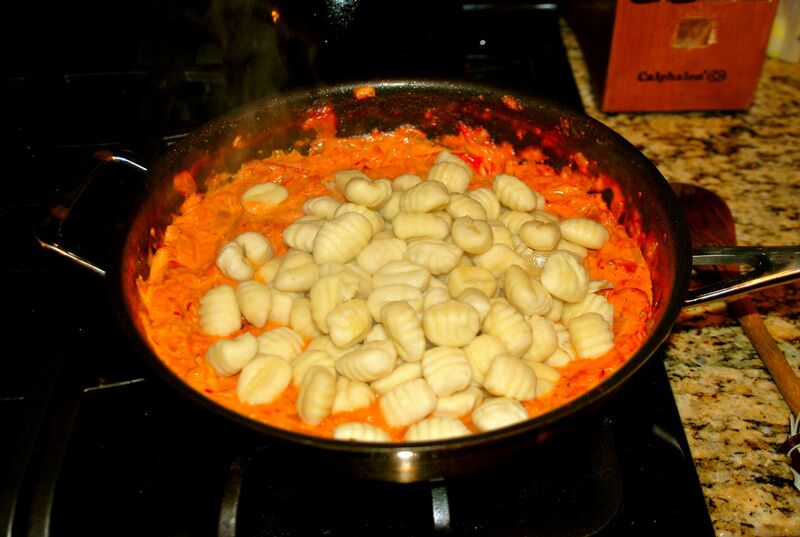 At home, drop your gnocchi into boiling water for approximately 3 minutes. This is enough time to cook the gnocchi through without having it turn to mush. 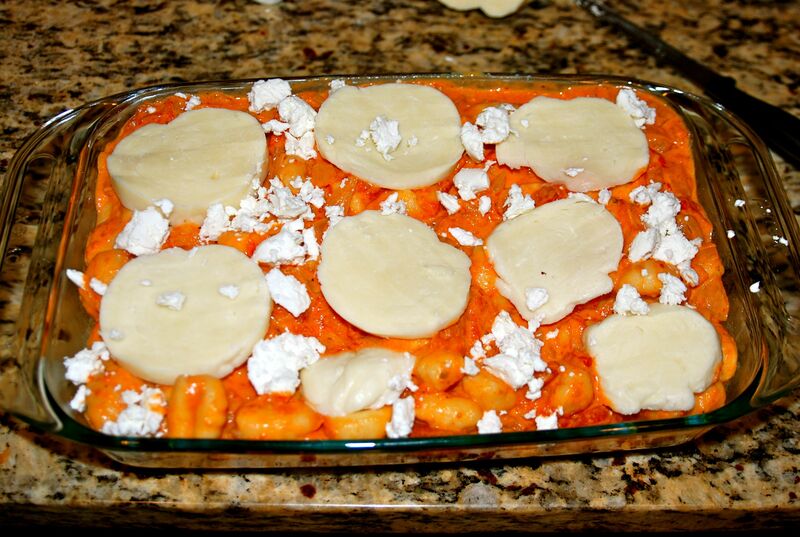 Drain the water off, and add your gnocchi to your sauce. Stir that up and transfer all of it to a baking dish. This one is a 6″ x 9″- I know that is an odd size, but a larger dish would work. 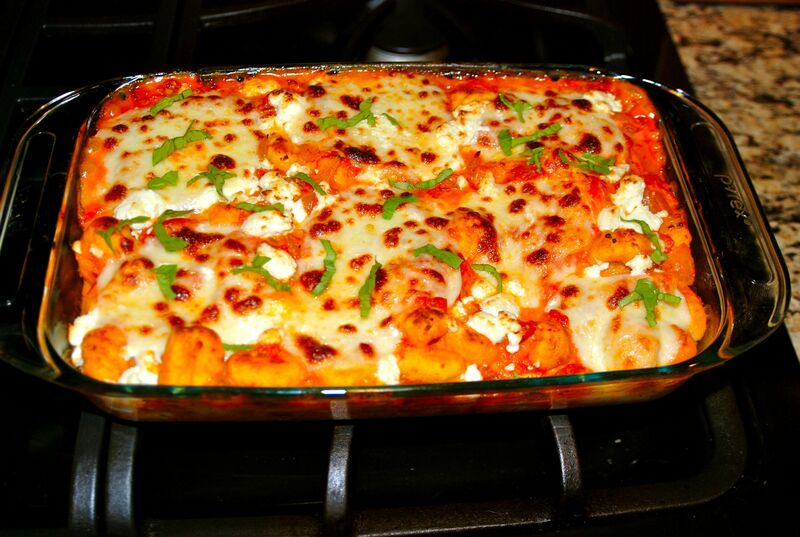 Or a smaller square dish should work too. Because let’s be honest. What pasta dish isn’t better with cheese? I used a mixture of sliced fresh mozzarella and crumbled goat cheese. Fresh mozzarella melts infinitely better than that weird shredded stuff that comes in a bag. Go for the fresh! It is found either with your cheeses in the dairy section or in the specialty cheese section found near the deli. I love the addition of goat cheese to for a little extra bite. If you don’t groove on the goat, try a sprinkle of parmesan instead. It has a more intense, fruity, and salty flavor than the mozz and it will be a perfect compliment. Pop that bad boy in your 400 degree oven for 10-15 minutes. The goal is to get the cheese to be ooey and gooey and melty. I used a little fresh basil from my garden on top. 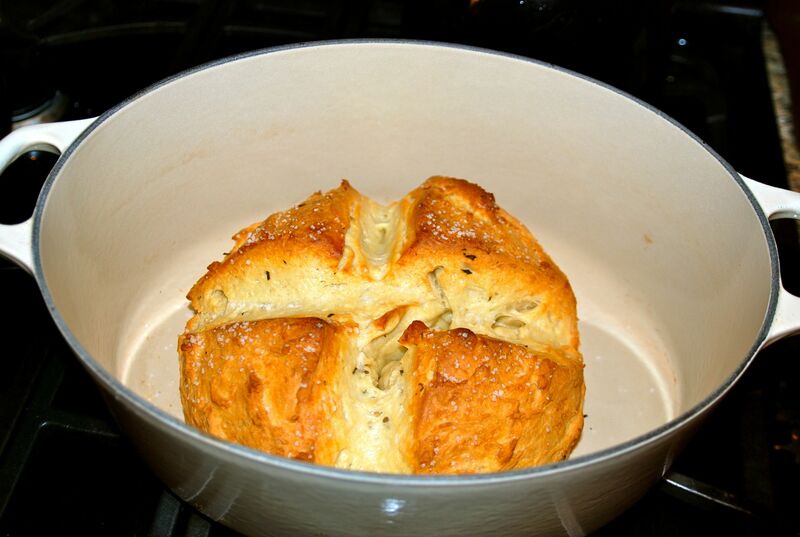 Both Brad and The Pioneer Woman know the guy who writes the This is Reverb blog, and I found the recipe for his Dutch Oven Bread. It was super simple to make, and it was a perfectly delicious compliment to this carb-o-rific meal. Serve it up with a big green salad. Your life shall never be the same. Thursdays have become the bane of my existence. They seem to be my busiest day of the week. So, today shall be short and sweet my friends. I am hoping to get lots o’ pics of fun things that we have been working on lately this weekend, but I thought I would give you a little sneak peak at one of my long-standing projects. 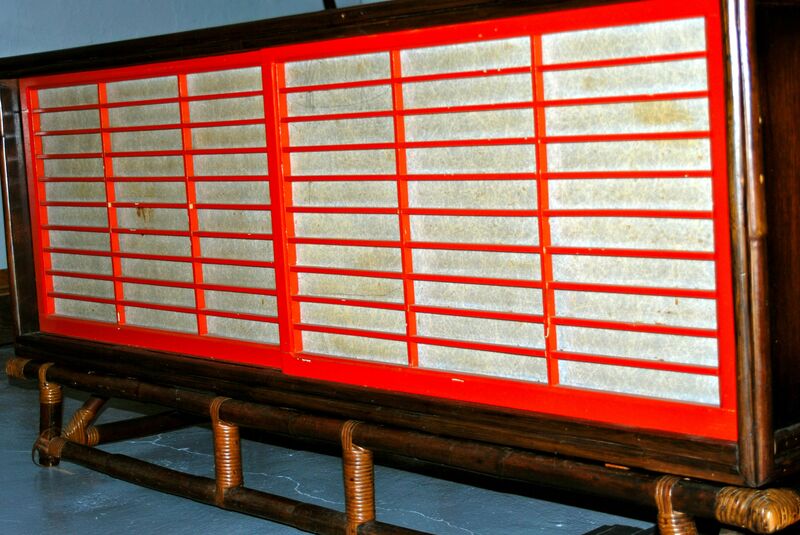 Perhaps you remember this gem of a credenza. I found this beauty at an estate sale, and it kept calling my name. They were trying to sell it for $400, and I probably would have bought it for that. You see, I had previously fallen in love with a very similar piece of furniture at a local out-of-my-price-range furniture store that was over $2,000. So, when I walked away with the musty lady above for a mere $200, I was pretty pumped. I did a lot of work on this gal… sanding, painting, taking out the weird plastic cream thing, sealing, etc. And here is a low quality iPhone pic of the newly re-vamped credenza in the nursery. Only now, it has transformed into a changing table and storage for our baby’s newly formed library of books and some clothes/diapers/etc. I will have better pics of the close-to-finished nursery soon to share with you. Whether or not you like it, suckers! Do we splurge on the beautiful rocker that my husband found? We are both kind of obsessed with it. Or do we just buy something that works and looks good enough and is cheaper? We will do what you tell us to. Have a great day pals. 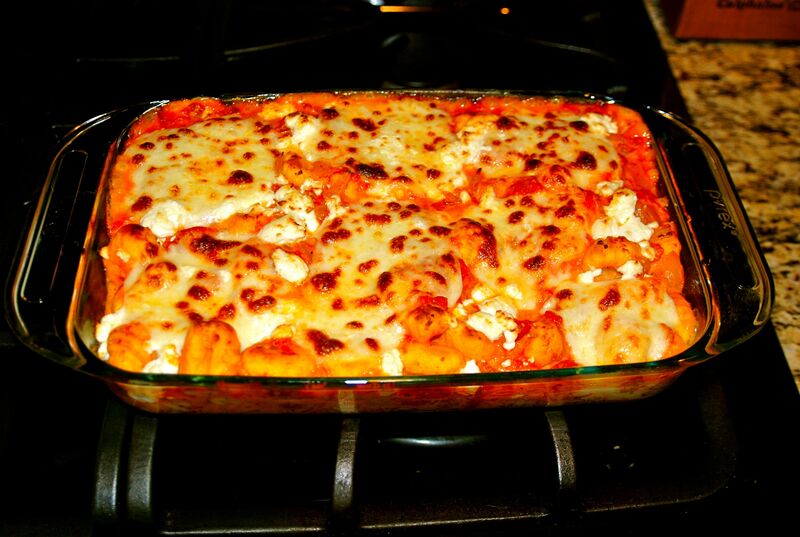 I have the most delicious vegetarian spicy, creamy, cheesy, pasta dish to share with you tomorrow. According to the color wheel, I have a red thumb. Or maybe even no thumb at all. What I’m trying to say is that plants that I place into the ground don’t normally do so hot. And I promise you this… it is not because I don’t try. I love and coddle my precious plants. I play them music. I sing to them. I give them encouraging words. I cover them if it is a potentially frosty night. A slow and pitiful death. A couple years in a row, I have lovingly planted tomato plants with dreams of harvesting them all summer long. In my dreams, I would have so many I could make batches and batches of salsa, tomato sauce, pico de gallo, caprese salad, and the list goes on and on. But then there is reality. Reality: Come home from work. Run outside to check on my tomato progress. See one or two tomatoes that will be perfect for pickin’ in just ONE MORE DAY. On the next day, come home from work. Run outside to check on my tomato progress. Develop big plans for how I will use those juicy sweet delights. Some sneaky animal stole every darn tomato that ever got even close to being ripe every time. After two years of being outsmarted, I give up. All of my tomatoes are now harvested at the local farmer’s market. That being said, there has been one (count it, ONE) genre of planting that I have had wild success with. And because I have tasted the success of growing plants, I shall continue. I give you herbs. Herbage. Cilantro. I love the stuff. I think people either love or hate cilantro. If you hate cilantro, your taste buds are wrong. 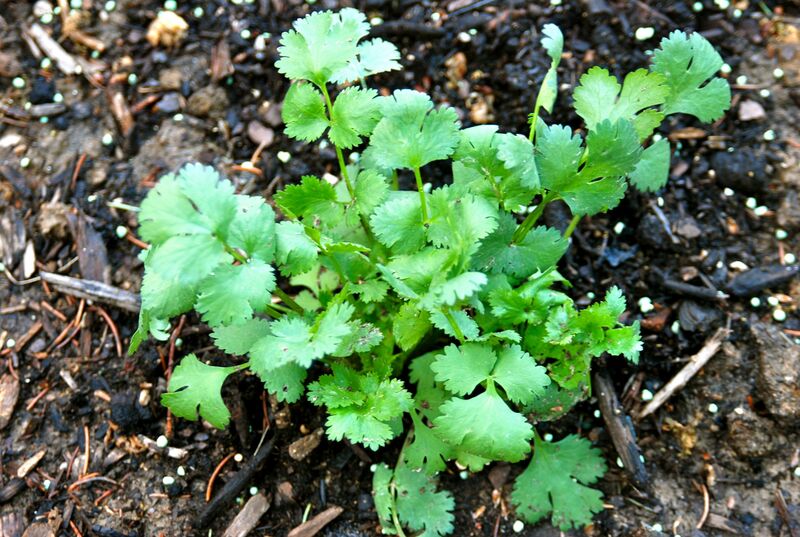 Cilantro is a must for any salsa or pico de gallo or guacamole. It is also the perfect topper to an otherwise bland salad. I love a little cilantro mixed in with regular greens. Dill. 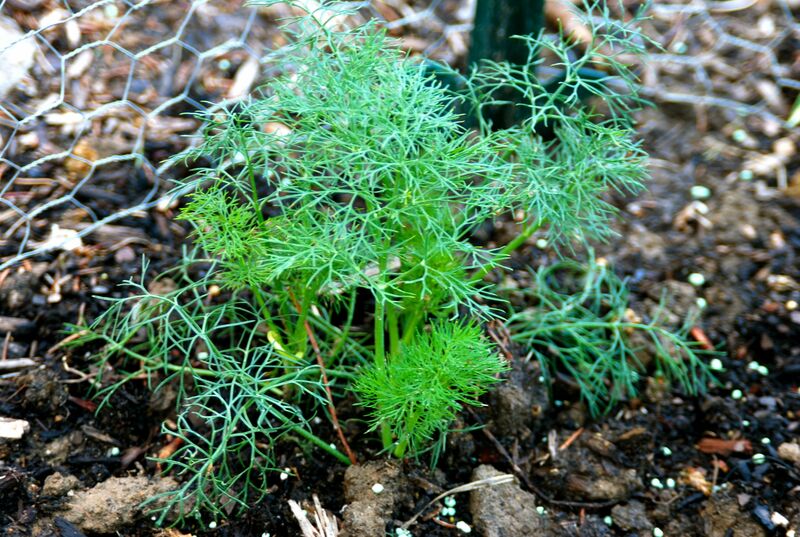 Dill grows fast and wild. I lurve it. Bagels and Lox… don’t mind if I do. Potato salad? You’ll need some of this green goodness. Oregano. 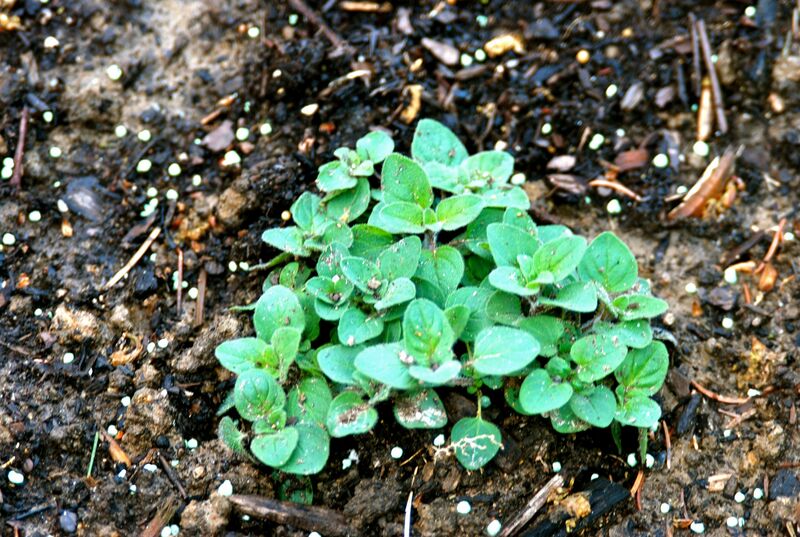 I only plant one little oregano plant because that seems to be a-plenty. I tend to use more oregano in the fall and winter months; however, there is usually a time that I long for some of the fresh goodness in the summer. Rosemary. Rosemary is woodsy and earthy, and I love it. 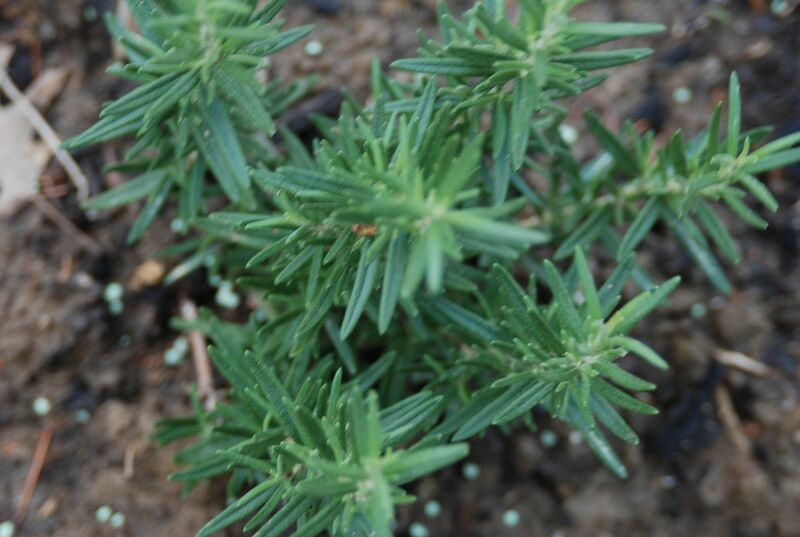 If you can get your rosemary to grow heartily in the summer, it can last all year round. That is my goal with planting this good stuff now. Like oregano, I don’t think of using rosemary all that often in the summer, but I love to have a plethora on hand for when the weather cools. However, lamb or chicken on the grill loves it some rosemary smeared on it. 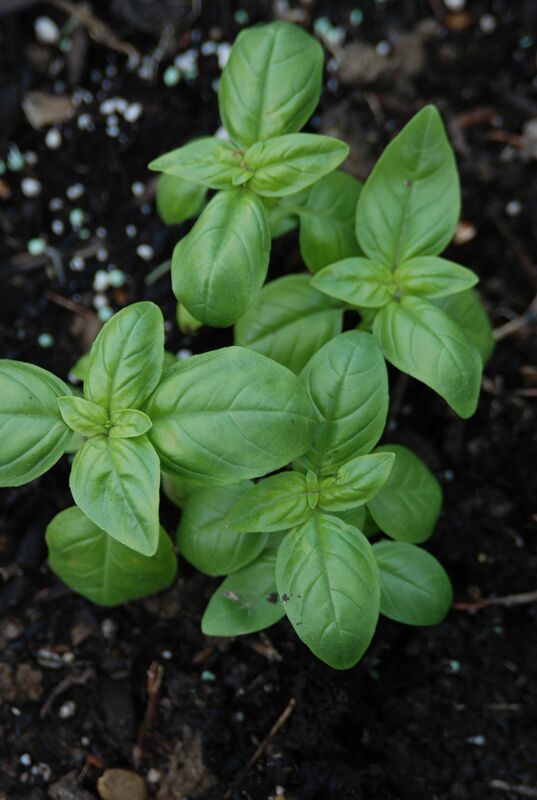 Basil is the first herb I ever planted in my own garden many moons ago. I love basil, and it grows awesomely in Ohio. I love it on chicken, on a salad, paired with those farmer’s market tomatoes, or in pesto form. 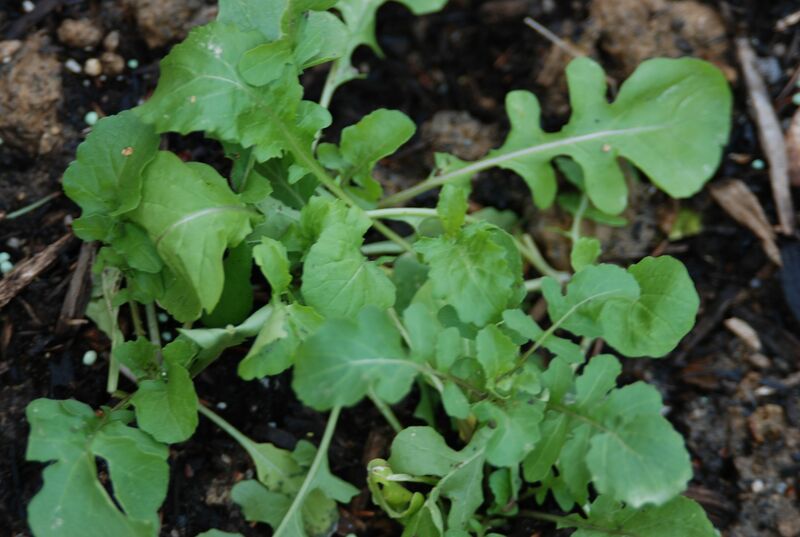 I also planted some rocket AKA arugula. Spicy lettuce. It is one of my faves. 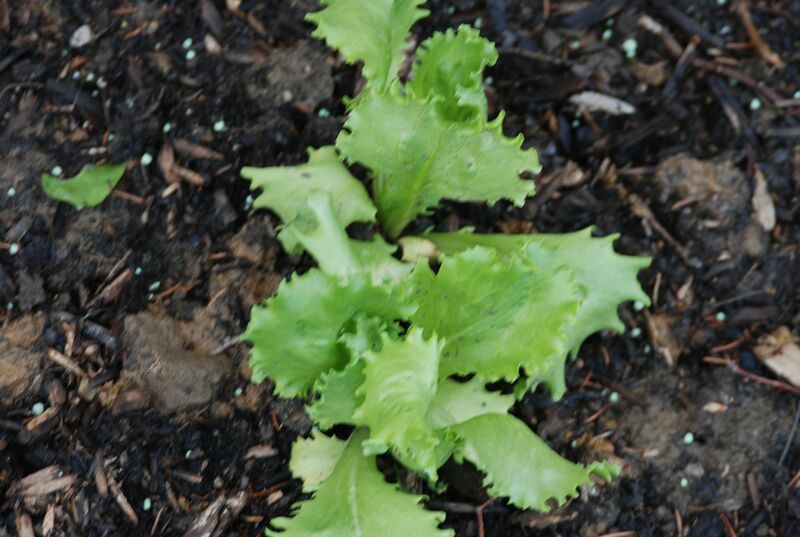 And then some regular lettuce too. The best news is that I got all of these buddies into the ground before the rains came. So, they have been getting watered like crazy. I don’t know if our yard has ever been this green. It is quite pretty. And these herbs are growing like wild. If you love to cook, an herb garden is a must. It is a super inexpensive way (each of those plants cost $1.98- that is less than one small package of herbs at the grocery store) to enjoy an abundance of fresh herbs all summer long. Hope that everyone is faboosh. Oooh, and who is counting down to the royal wedding? I’m excited! Not 4 AM excited, but rather, re-runs throughout Friday excited. I witnessed a murder on Monday. It was done in cold blood. And I’m serious when I say it was right in front of my eyes. This story is not for the faint of heart, but I feel it my duty to share with you the nitty gritty details. I had Lola on a leash, and we were taking a leisurely stroll when we were both distracted by something on the ground. Her hound nose was instantly drawn to it, and I feared it was a dead animal. Dogs LOVE dead animals for some reason. Specifically, my dogs love to roll in them. I have heard that this is because of their carnivore instincts- rolling in a dead animal masks their own dog smell making it easier for dogs to hunt their prey. If you have ever been around a dog that has rolled in death, you know the scent… it is a scent to be avoided. So, as Lola pulls herself toward the mysterious scent on the ground, I am trying desperately to pull her away from it. In a split second, Lola dove nose first into what turned out not to be a dead animal, but rather, a mouse nest. And she pulled out a live mouse. She chomped on it in front of my eyes and the mouse let out a sound like a dog squeaky toy. And I let out a noise like I was being mauled by a bear. And boy, did that get Lola excited. I freaked out. And that is the understatement of the century. I screamed for Brad even though he was not anywhere within earshot. Lola was so proud of her new squeaky toy that she was running after me trying desperately to show me her treasure up close. I, in turn, was trying to run away from her. However, I couldn’t risk dropping the leash and having her run off into the street. So, somehow I get all tangled up in the leash and end up on my rear end on the very wet pavement scooting backwards still trying to avoid the now dead mouse being dropped in my lap. In the midst of my flailing around on the ground, I skinned my elbow. Eventually, I found my way to my feet. Lola dropped the mouse. Apparently, she was over it. 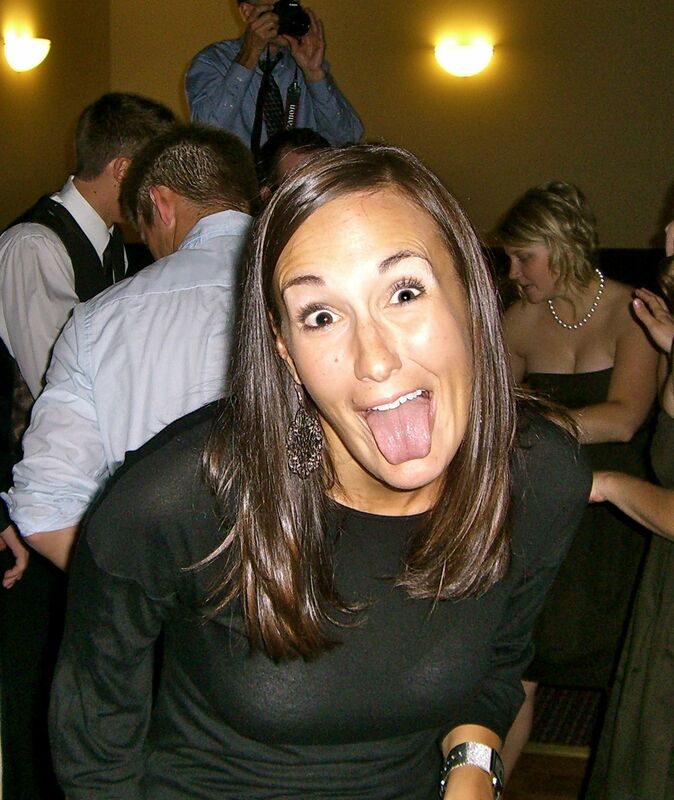 And I spent a good five minutes looking around to insure that no one saw the hot mess called Leah. Seriously, my reaction was totally ridiculous. You would have thought that Lola had a live rattlesnake in her mouth. So, after she dropped the mouse, we simply walked on. But, the experience was highly traumatic. That poor little mouse. I keep thinking it was probably just having a lovely nap in it’s nest fully protected from the rain, when it’s murderer came upon it and snuffed out it’s life. I just keep hoping the poor mouse wasn’t a mama mouse that was in the middle of feeding her babies. Those poor mouse babies will need serious therapy some day if so. I don’t especially care for mice. However, that little guy seemed to be minding his (or her) own business in a grassy area in his own little nest. And now he is chewed up and spit up on the sidewalk. And somehow I have a skinned elbow because of it. I shall share with you a dish that is my favorite… and I’m certain it would be a mouse’s favorite. This recipe will make you the star of any party from here on out. It is the easiest thing in the world to make, and it goes like hotcakes (actually, do hotcakes really go all that fast?) at any gathering. And honestly, it isn’t really even a recipe. 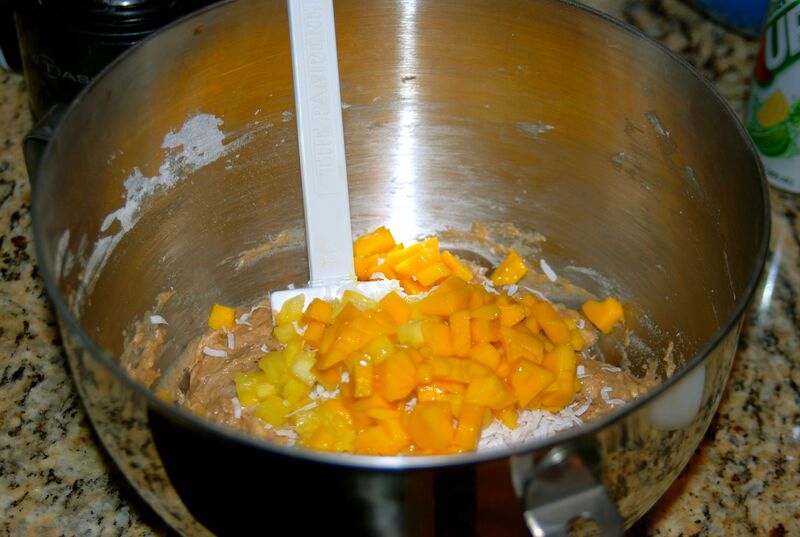 It is 3 ingredients piled together. So, this one is an easy one my friends. 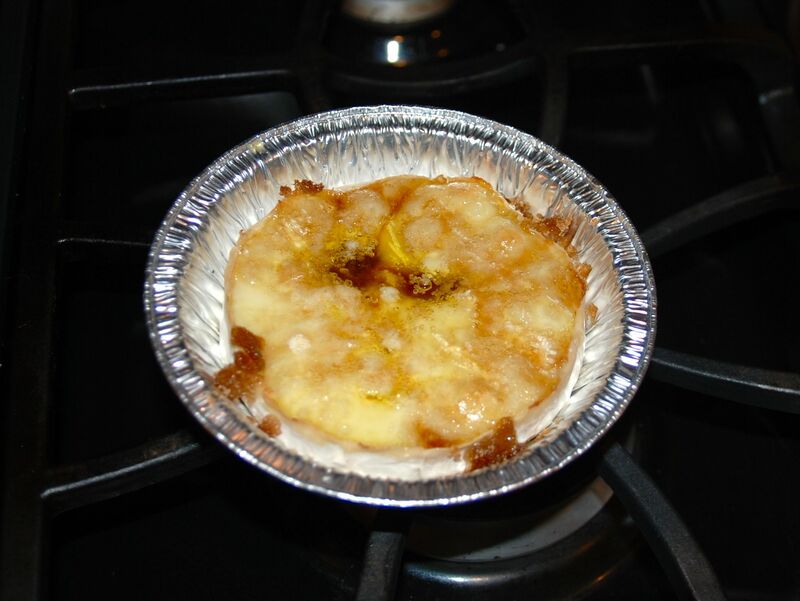 First, get out a really tacky disposable tin baking dish like the one pictured below. I was going for easy clean up here. Seriously, buy a wheel of brie. Choose the size you need based on the number of people that will be partaking. I bought only a small wheel because I was making this for four people. Unwrap your brie, and drink in it’s glorious goodness. I chose a double cream brie. 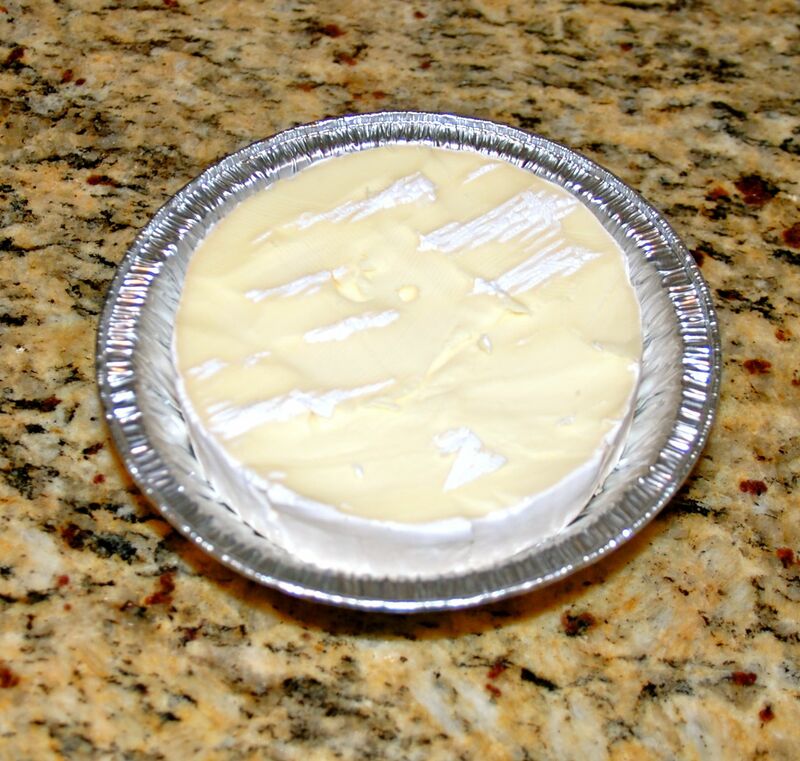 Now, I carefully turn my wheel o’ brie on it’s side to carefully slice off the waxy top. This is not a necessary step, but it makes the cheese retrieval much easier. Plus, I don’t really groove on the waxy flavor. Just be careful to not remove the ooey gooey good stuff on the inside. 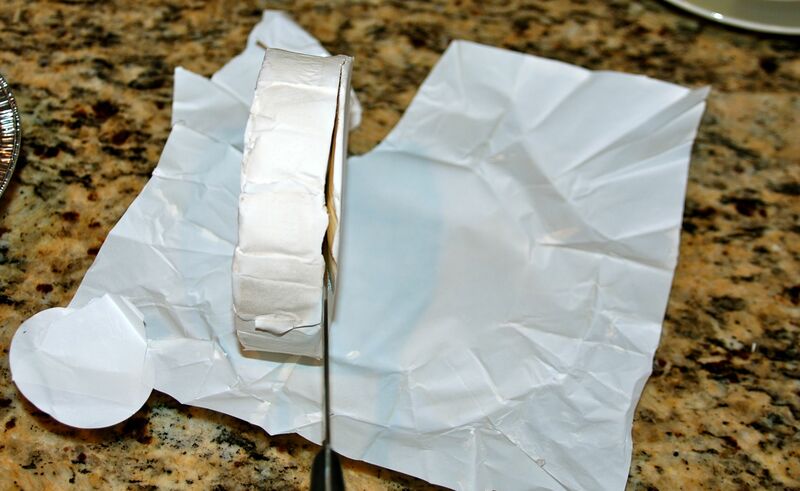 Here the brie is sitting in my fine china awaiting the next step. Don’t worry if there are bits of waxiness left on top. It doesn’t matter in the least. This is the step where we move from not-so-bad for ya to downright naughty. 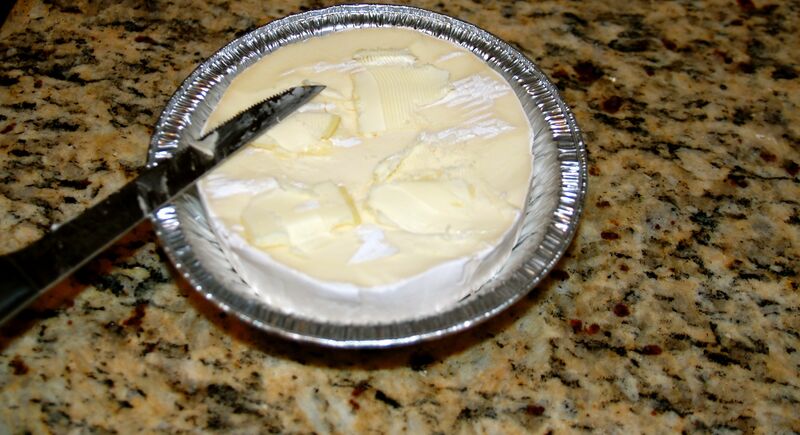 Take some butter and spread it across the top of your brie. I use the same amount of butter I would use to butter a piece of toast. 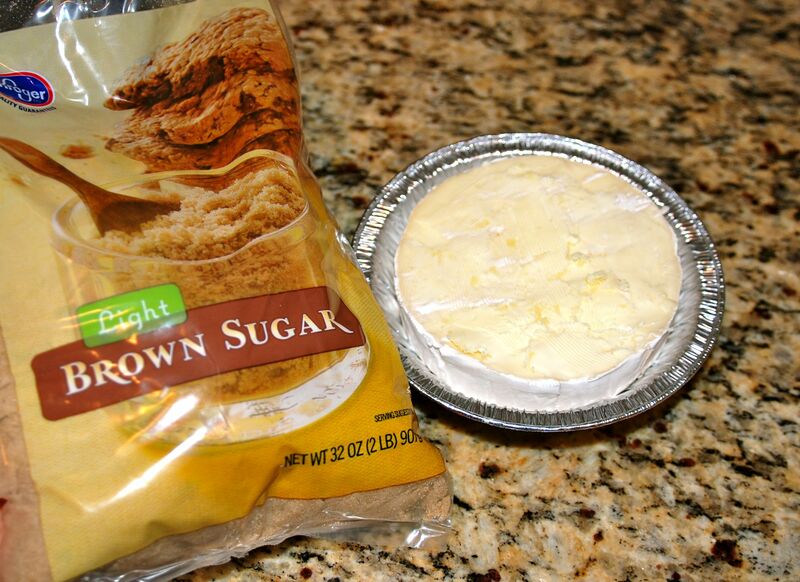 Get out a bag of light brown sugar. And go from naughty to downright sinful. 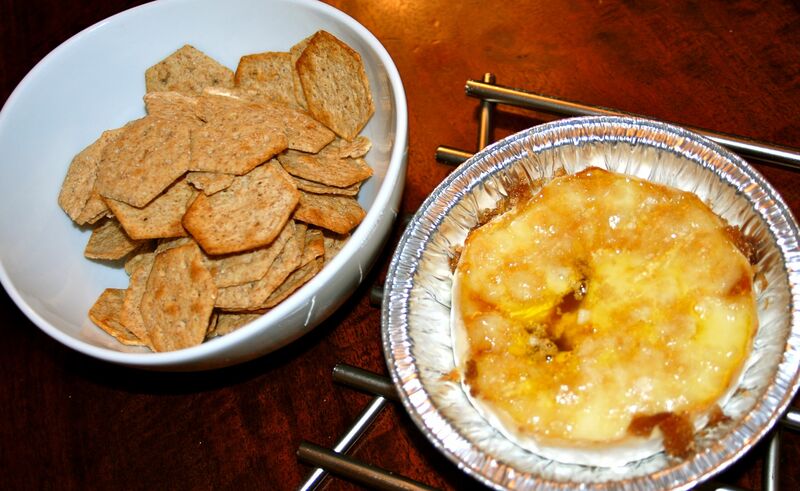 Pile some of that brown sugar on top of your buttered brie. Pop that brie into the oven. Whenever I make this, there is usually something else cooking in the oven. So I throw the cheese in at whatever temp. The goal is to melt the cheese. So, at 400 it takes about 10 minutes. At 300, it takes about 20 minutes. And here is the magic… when you are pregnant, you are told to avoid soft cheeses. Why? Well, the bacteria listeria of course. What you actually have to avoid is unpasteurized cheese- and those are actually pretty difficult to find in America. 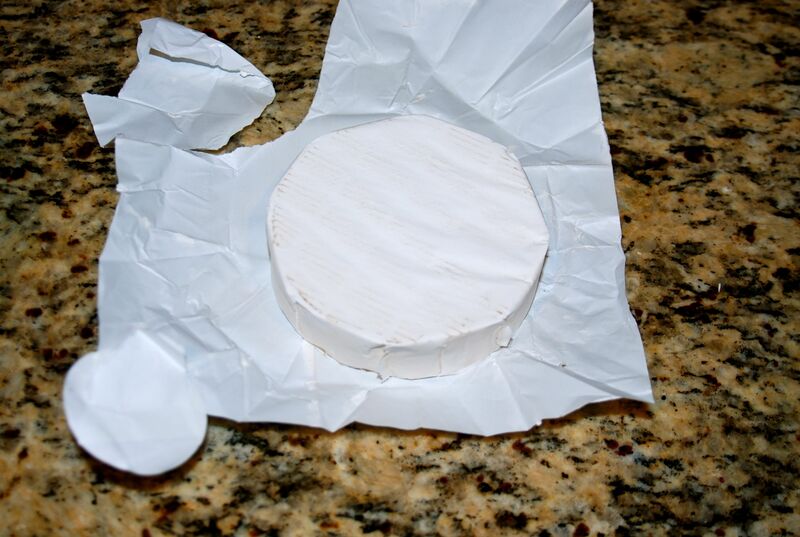 However, if you do happen upon an unpasteurized brie… it doesn’t even matter for this recipe. Because you are going to get the cheese so hot that if there were any listeria living in there- it will be killed by the heat. This is what the brie looks like in all of it’s glory after baking away. 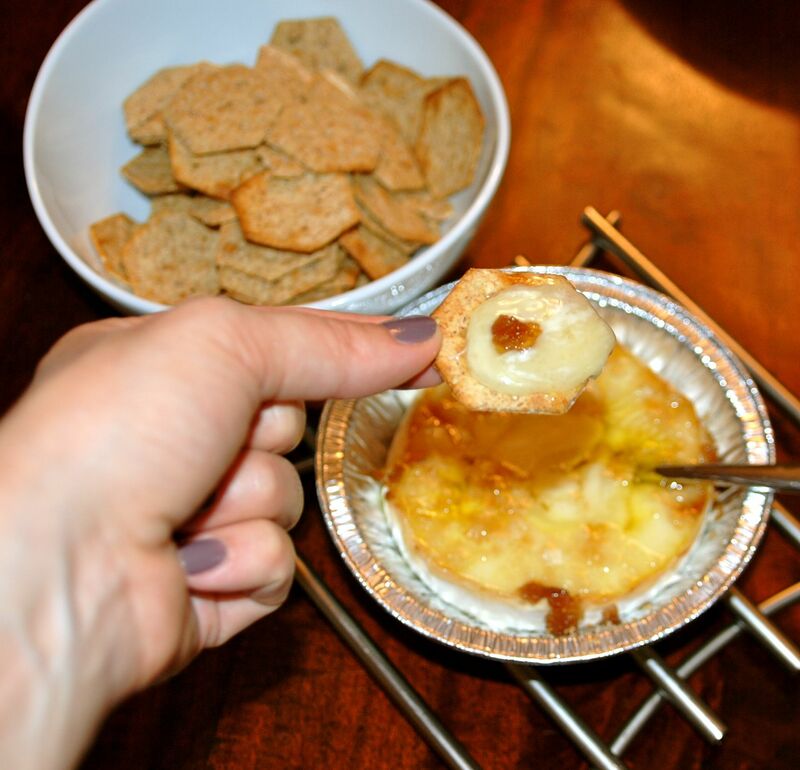 Because the cheese is so rich and sweet, I like to serve it with a good sturdy and grainy cracker. Here I have Whole Grain Wheat Thins, and they may just be the perfect accompaniment. I had to taste test one (or 50) of these. Truly, melt in your mouth delicious. This is the perfect appetizer for a date night with your special someone- simply buy a smaller wedge of brie- or it is perfect for the biggest party of the year. Or, you could serve it up to your favorite mouse. I promise that you will not go home with leftovers. Ever. Happy Tuesday to people and mice everywhere. 1. It is so dang wet outside. I’m over it. 2. I’m never eating french toast again without orange zest grated into the egg and cream mixture. It is truly heavenly. 3. I think Coconut m&ms may be the invention of the century. For some reason, they are nearly impossible to find. So, it feels like a major accomplishment when I acquire a precious pack of them. Thanks be to Bradley for my “Easter basket” containing the coveted coconut treats. 4. I like scotch. Scotchy, scotch, scotch. 5. I know this is odd for most people, but playing cards bores me to tears. And watching people play Texas Hold Em…. well, that is really boring. Good thing the people I was watching were fun and interesting. Otherwise…. well, I just don’t know. 6. I miss fancy Easter dresses. I remember as a kid making the trip to the mall before Easter to pick out a new pastel colored dress, AND my one pair of white shoes that I would wear from Easter to Labor Day. I always wanted a hat, and my mom always said no. What the heck? 7. People that can sew impress the heck out of me. 8. 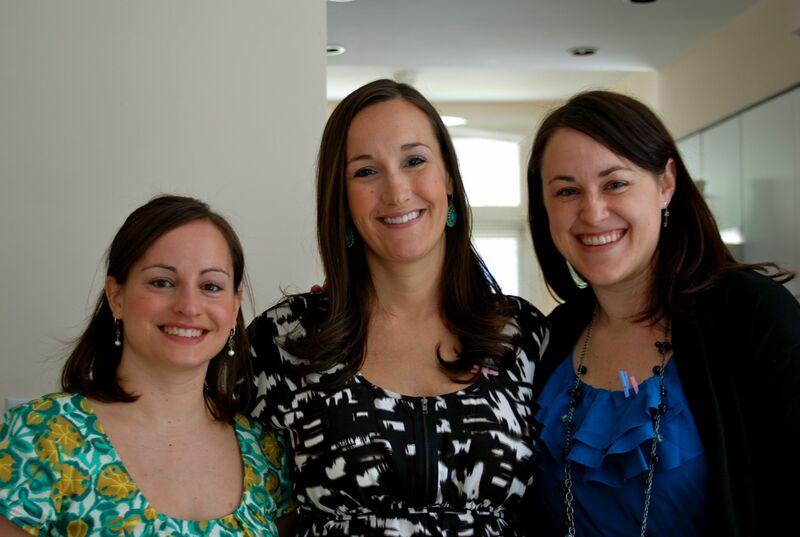 Last weekend, my sister-in-law Jana and my friend Liz threw me the most amazing baby shower. It was lovely, the food was amazing, the cake was delectable, everyone that came was overwhelmingly generous, and a fab time was had by all. Our little one is already loved tremendously. 9. When your brakes start making a grinding noise, you should have them checked out. Grinding could very well mean that your brakes are seriously about done working for you. And if they stopped working… well, that could be very bad news. 10. Poor Lola is suffering immensely through all of this rain. So, today she shall be set free inside a massive warehouse for running and fun with my husband. Thanks be for large open spaces for crazy hound mutts to wear themselves out. I hope the sun is shining on you wherever you are. I’m married to a sandwich lovin’ man. I think Brad would take a sandwich over a filet any day. He makes for a cheap date. And he is pretty easy to please at dinner time. Thanks be for that. 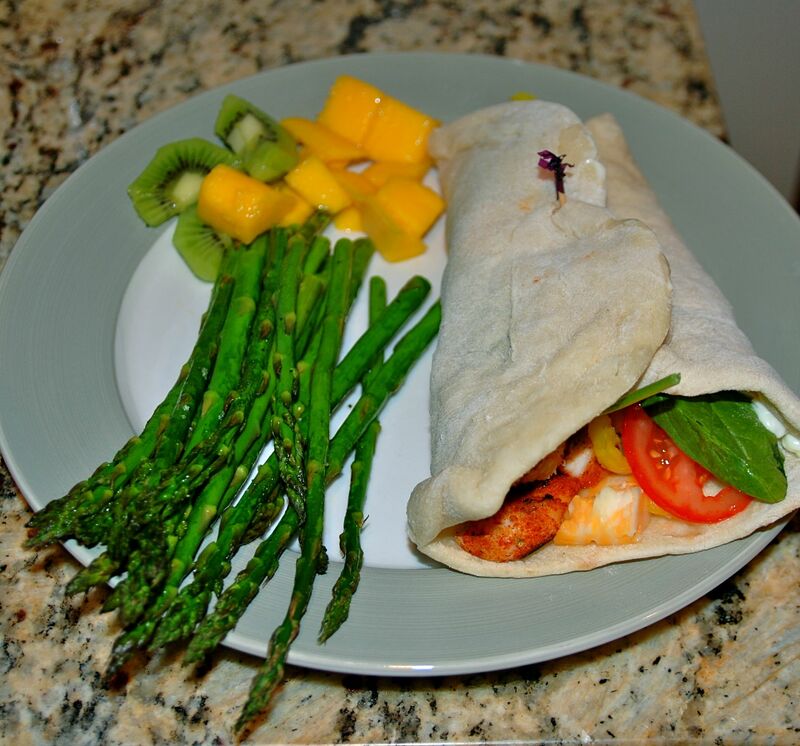 About a year ago, I stumbled on to a recipe for homemade wraps that were featured in some magazine- I’m guessing Real Simple, but I don’t really know. And since then, these wraps have made it in to our regular dinnertime repertoire. The original sandwich was a Greek steak number that made me want to dance the Watusi. This week I made some grilled chicken, but a veggie wrap, cold cuts, a breakfast sandwich, etc would all be knock-you-off-your-feet good. The downside of this recipe? You have to use yeast. But I am bigger and stronger and sometimes a wee bit smarter than yeast, so I took the challenge on head-on. 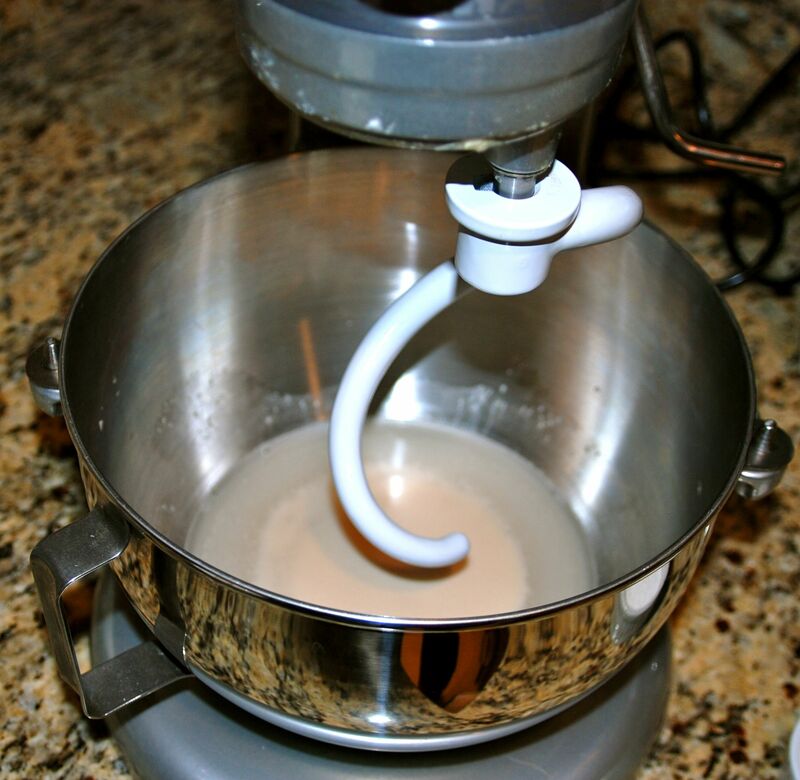 Get out your mixin’ bowl with a dough hook. 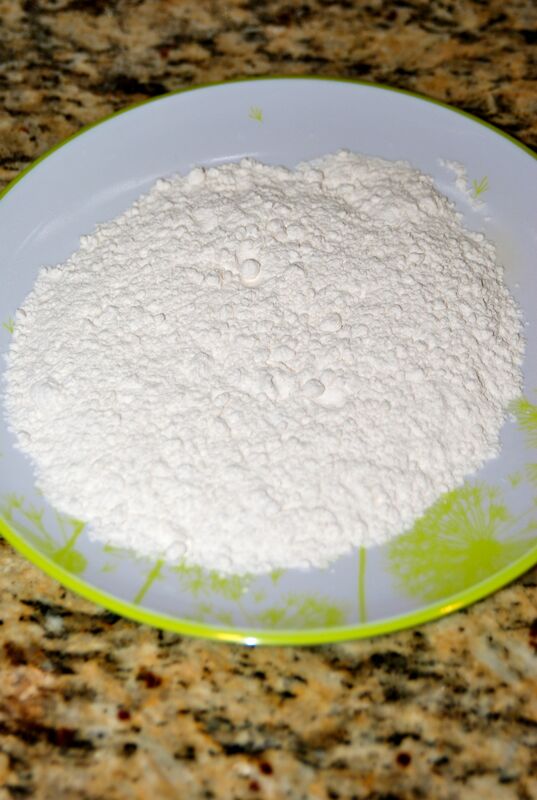 Into your mixing bowl, combine 1 t. of sugar and 1 package of yeast. Then, add in 1 1/2 cups of warm water. This part always makes me nervous. The water should be warm enough that it activates the yeast, but not so hot that it kills they yeast. Yeast- you are my arch nemesis! I figure a little warmer than how warm you would make a baby’s bottle works for me. You’ll know you got the water temperature right after you stir it all together and let the mixture sit for 5 minutes or so. After 5 minutes, you should have a little frothiness. This means the yeast is “activated” i.e. it is ready to do work for ya. 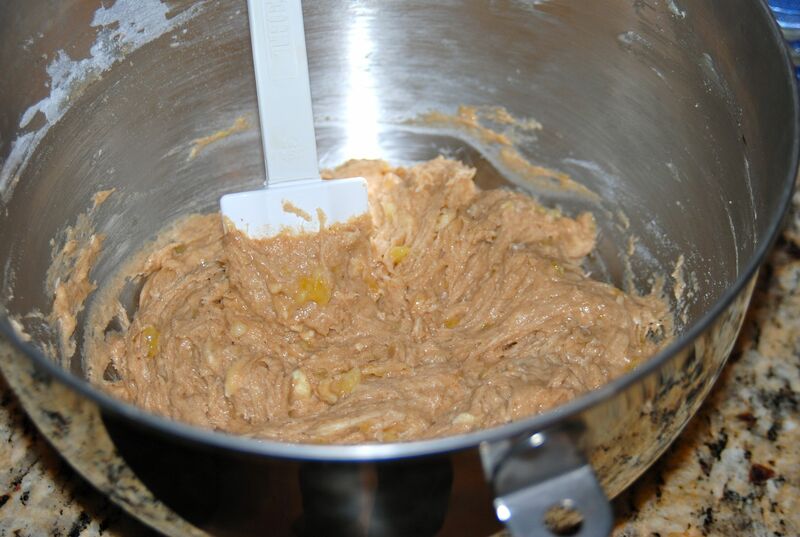 Turn on your mixer, and slowly incorporate 3 1/2 cups of flour. And 1 t. of salt. 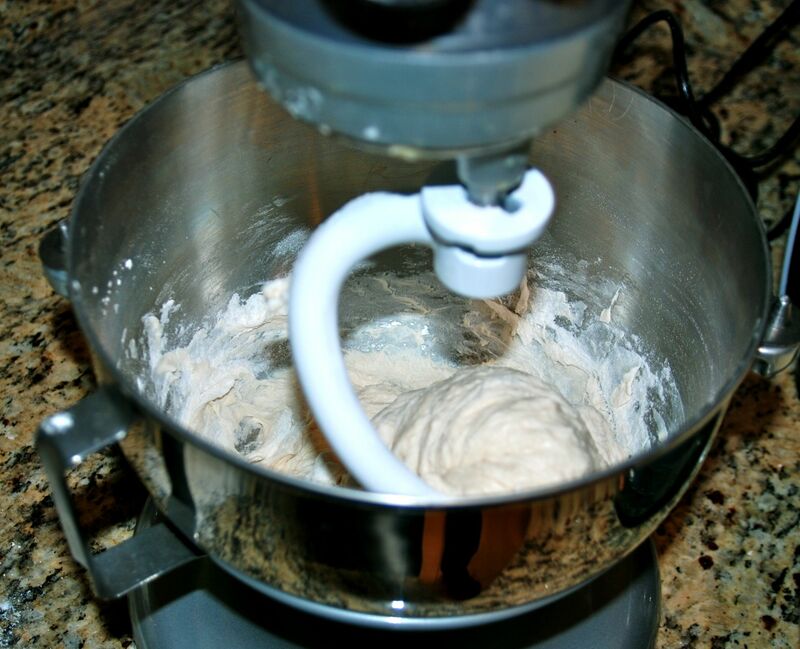 Until the dough hook causes the dough to pull away from the sides of the bowl in a ball. Once you get to this point, turn off your mixer. 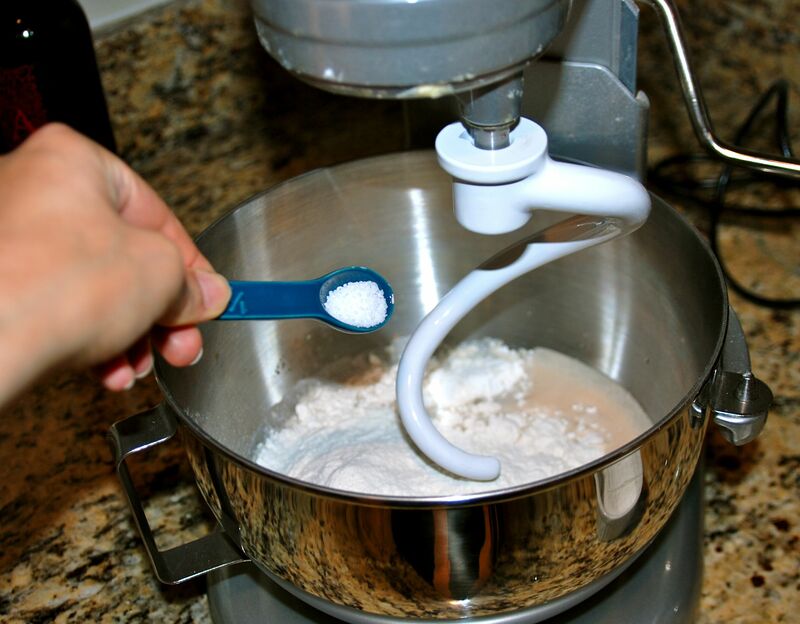 If you don’t have a mixer with a dough hook, you can use a spoon and a bowl to mix it all together. 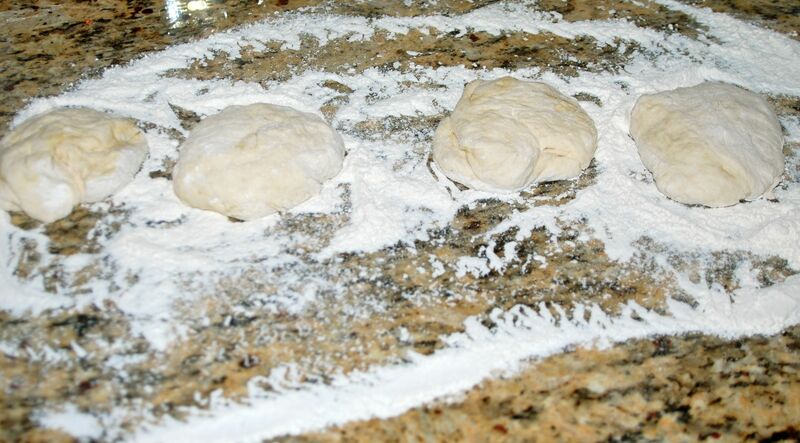 Once it is all combined, turn out your dough onto a floured surface and start kneading. 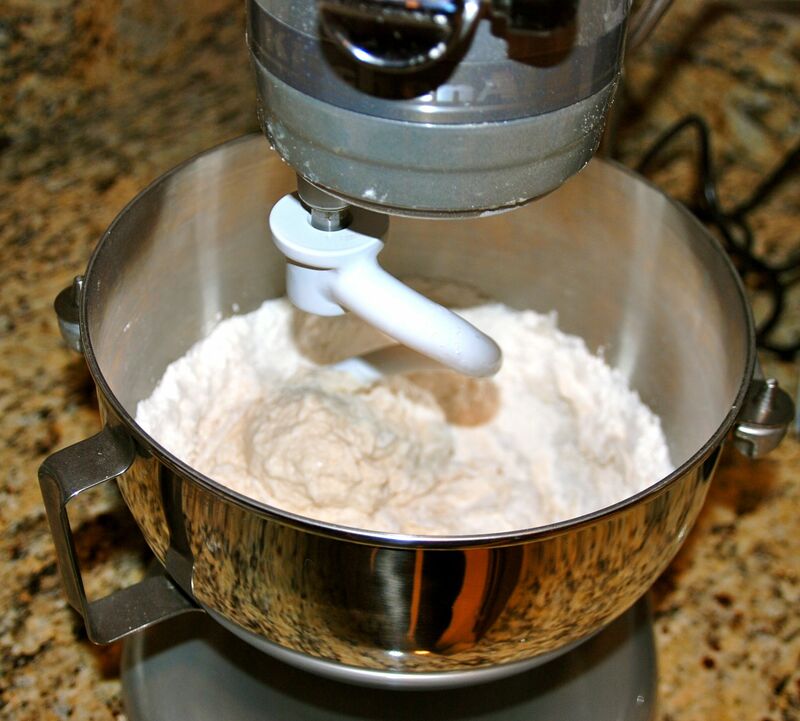 Even if you used a mixer, dump your dough out onto a floured surface and start kneading. This should be a very soft dough. 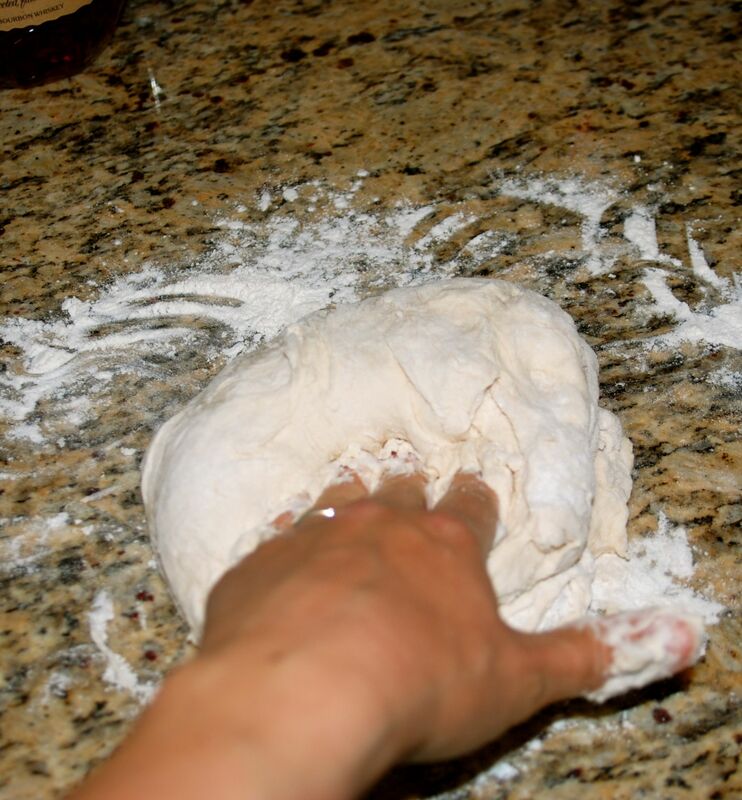 Knead the dough by hand for about 5 minutes. 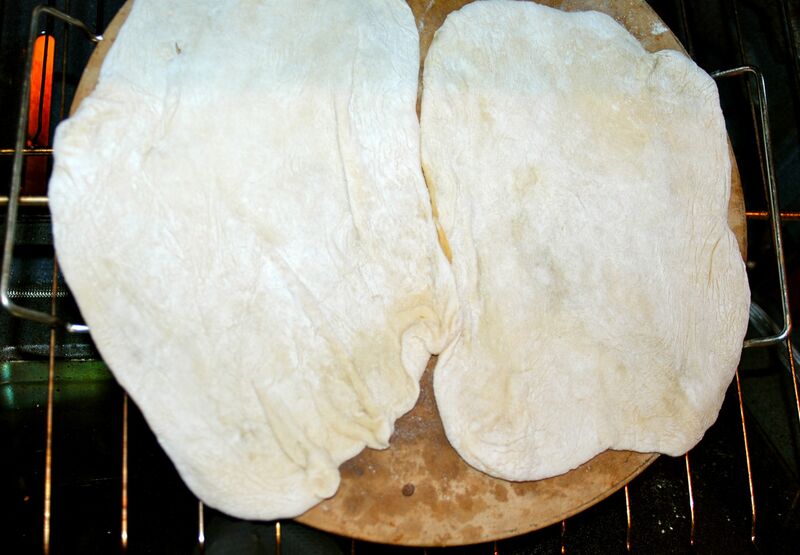 If it is sticky and you are having an issue with dough sticking to your hands, simply add a little more flour. 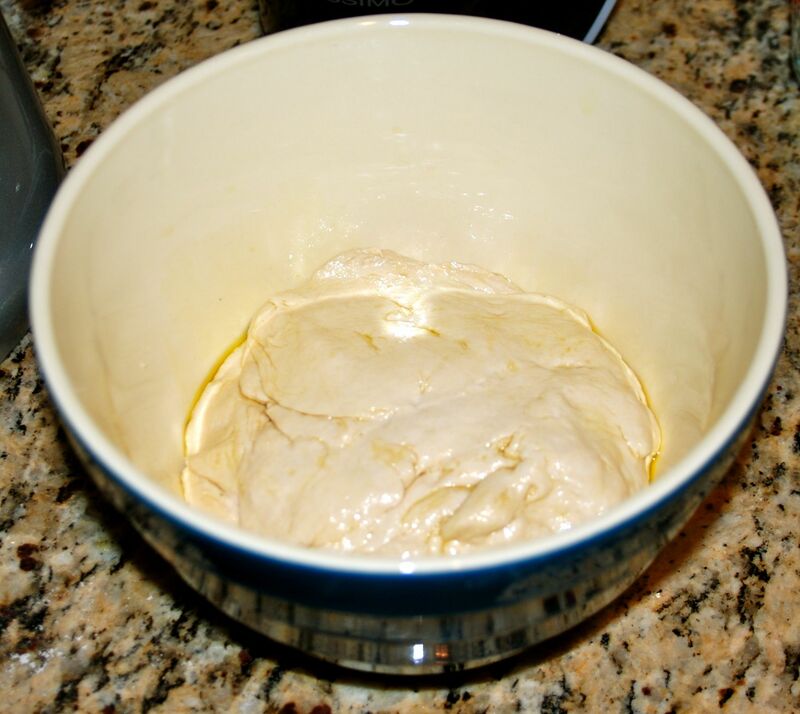 Place a teaspoon of olive oil into a bowl, and plop your dough in there. 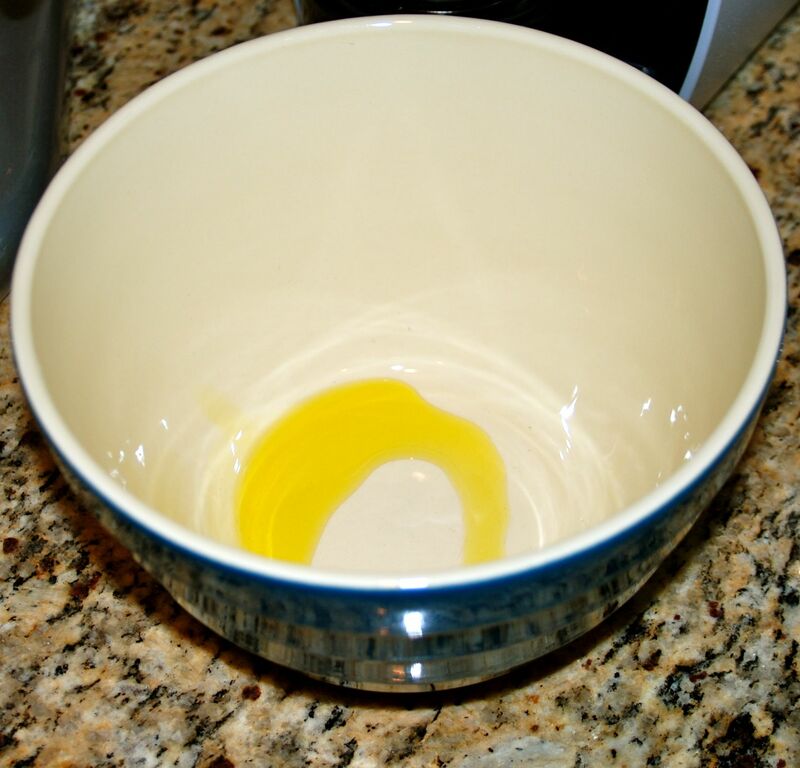 Cover it with plastic wrap, and place the bowl in a warm spot. 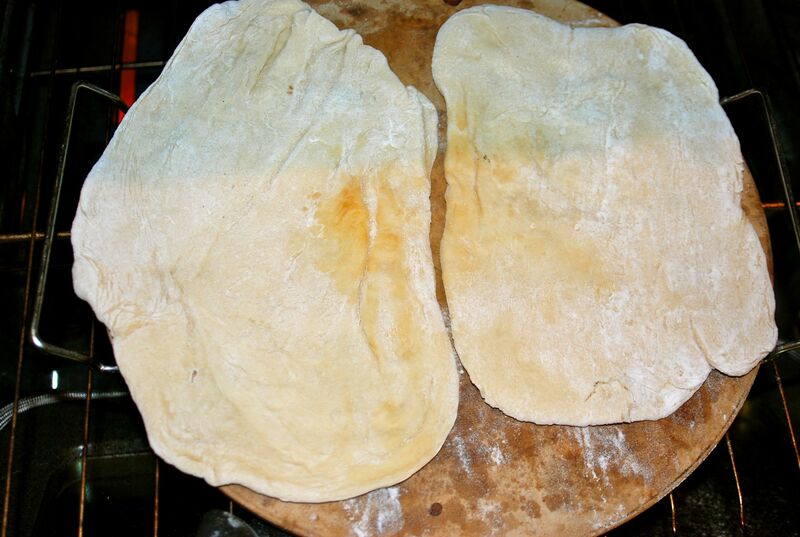 After an hour, divide your dough (using a sharp knife or kitchen scissors) into 8 pieces. Roll those suckers to about 1/4 in. thick. 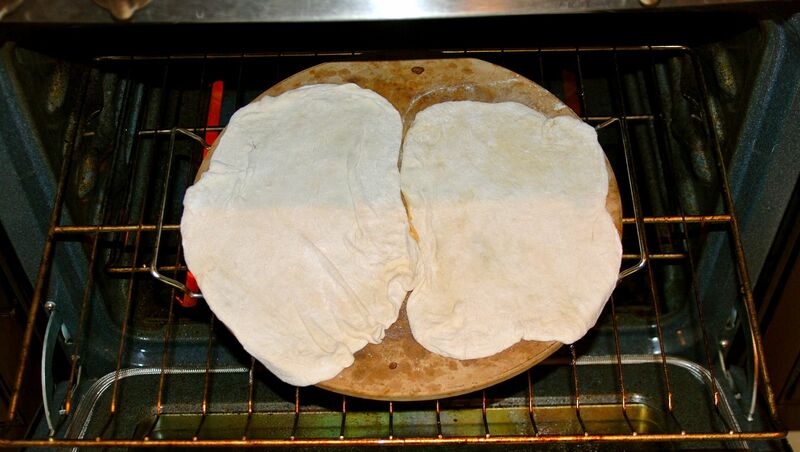 I make mine a bit oblong so that two fit nicely on my round pizza stone. 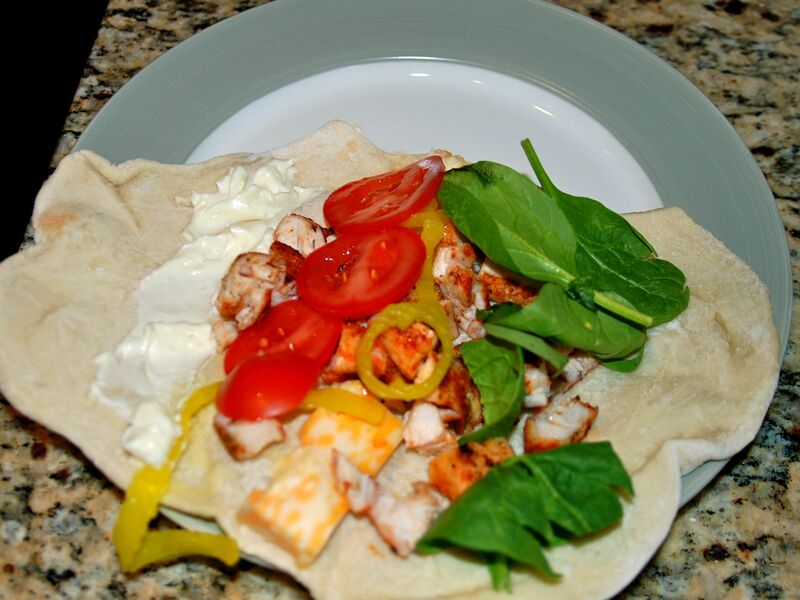 If you are using a rectangle sheet pan, you can make your wraps more circular. Preheat your oven to 500 degrees. 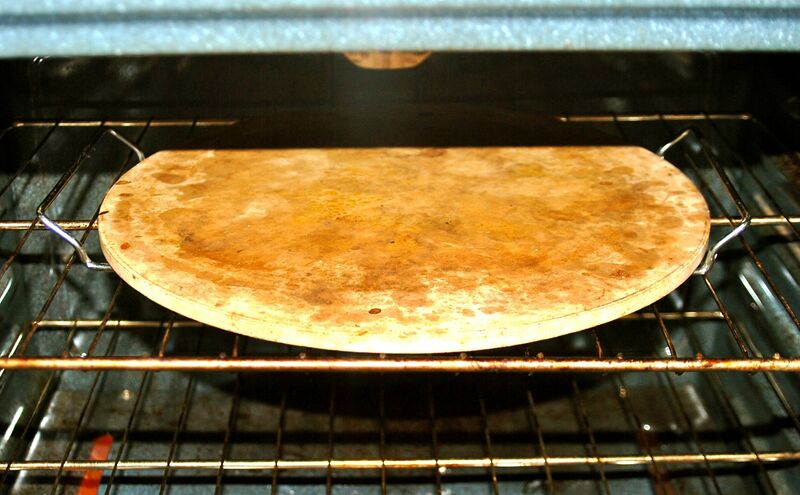 If you happen to have a pizza stone, pop it into the oven to preheat as well. If you don’t have a pizza stone, go buy one immediately. Or just get out a large sheet pan. 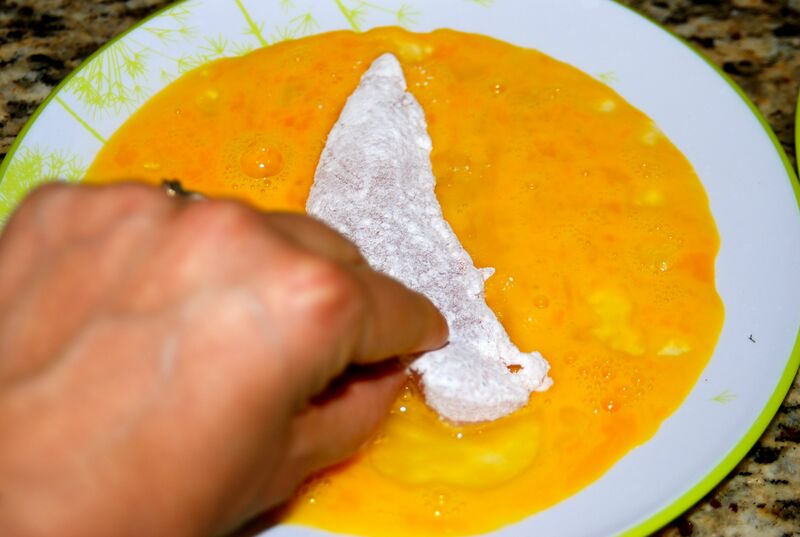 Once the stone is preheated and your wraps are all rolled out, throw two of them onto your stone or pan, and close them into the oven for 3 minutes. After 3 minutes, the tops will look like this- it shouldn’t look like much has happened. Use tongs or an oven-mitted hand to flip these guys over. This is what the bottom side should look like- not too different from the top side. Perhaps there will be a slight browning, but that is ok. The key is to keep these guys very pliable. Because, well, a crunchy wrap is hard to actually wrap. Put them back into the oven for another 3 minutes. Remove the wraps and set them on a plate to cool a bit. 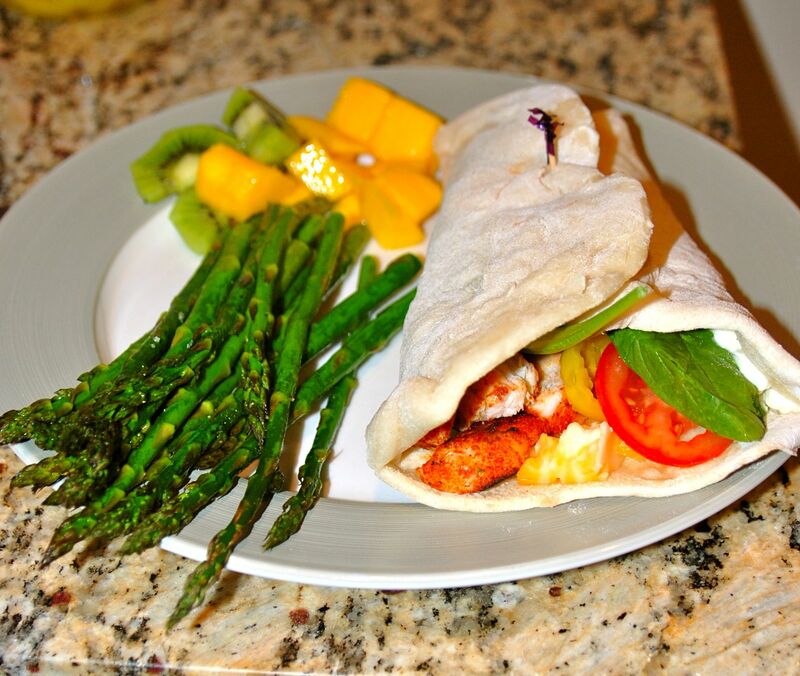 Repeat until you have all of your wraps cooked up, then top them with whatever goodness you have planned. I used spice-rubbed grilled chicken, some colby jack cheese, banana peppers, spinach, tomato, and mayo. Wrap it up, and serve it with some roasted or grilled veggies. I just threw my asparagus in the 500 degree oven coated in oil, salt, and pepper for about 7 minutes while I was finishing up with the wraps. I also made a super simple fruit salad made of mango and kiwi. Can I just tell you how much I love the fact that we can get delicious ripe mango in our Ohio grocery stores right now? I store the left over wraps in plastic wrap in the fridge. Yesterday, I woke up to a basement with water leaking in due to a massive thunderstorm. Then, I drove to a meeting downtown and my check engine light came on. Then, I drove back to the office from the downtown meeting and was stuck in completely stopped traffic for 2+ hours (having just drank a large water bottle and being pregnant- this was a very uncomfortable 2 hours). Last night, the tornado sirens went off at 1:45 am, and I woke up the pups and my husband to hunker down in the basement for safety. Before we made it to the basement, the sirens turned off and the worst of the storm was over. So. I say all that to say this. Today has got to be a better day! Hope you all are doing well, staying dry, and loving on those around you. The one that is never chosen. The one that sits all by itself while every other is lovingly picked out, scrubbed clean, and then carefully prepared. What is this unfortunate of unfortunates? If you are like me… and for your sake, I hope you aren’t… carrots are the perfect vegetable to pack in a lunch on a day that you are desperate to sneak in something healthy at the last minute. Then, by lunch time you begrudgingly pull out your carrots and choke them down. All the while, you are wishing you would have stuffed that bag with Dortitos. A while back, the old carrot was forever redeemed. You see, we had dinner at our friend Chef Michael’s house, and he sauteed up some carrots. And they were life-changingly good. Prior to that meal, cooked carrots were not an option at this house. They conjured up images of school cafeteria lunches. Soft vegetables. With an overabundance of mushy carrots and lima beans. But Chef Michael’s carrots. Ooh, these were different. And I knew my life, at least where carrots were concerned had been forever altered. 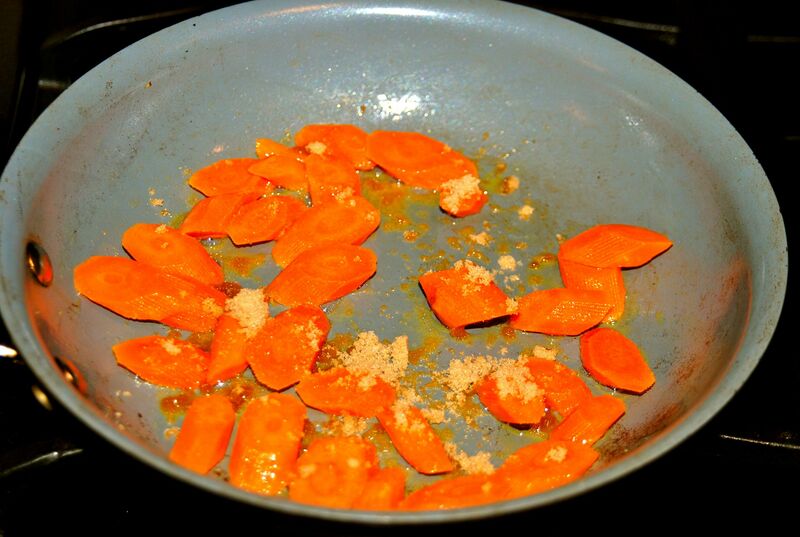 So, without further ado, I give you my interpretation (which is no doubt less delicious, but still pretty darn good) of Chef Michael’s sauteed carrots. 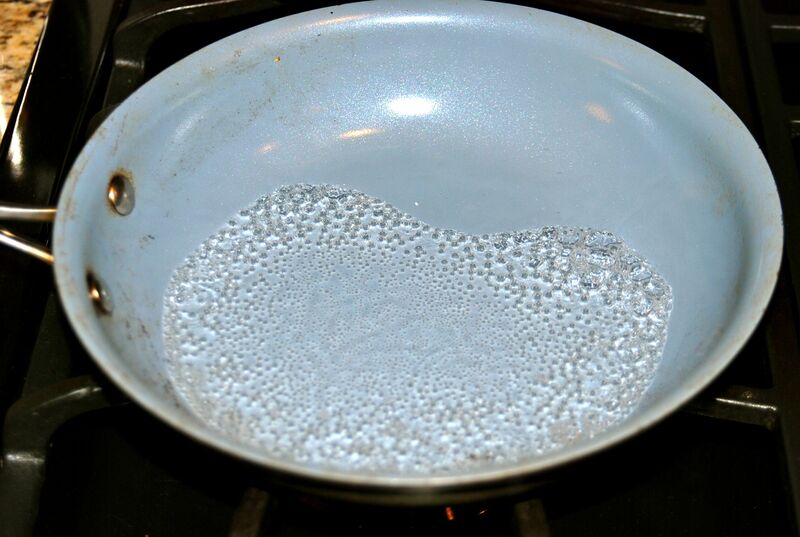 Start with a non stick pan over high heat. The pan should have about 1/4 inch of water in it. And drop in your peeled and chopped carrots. 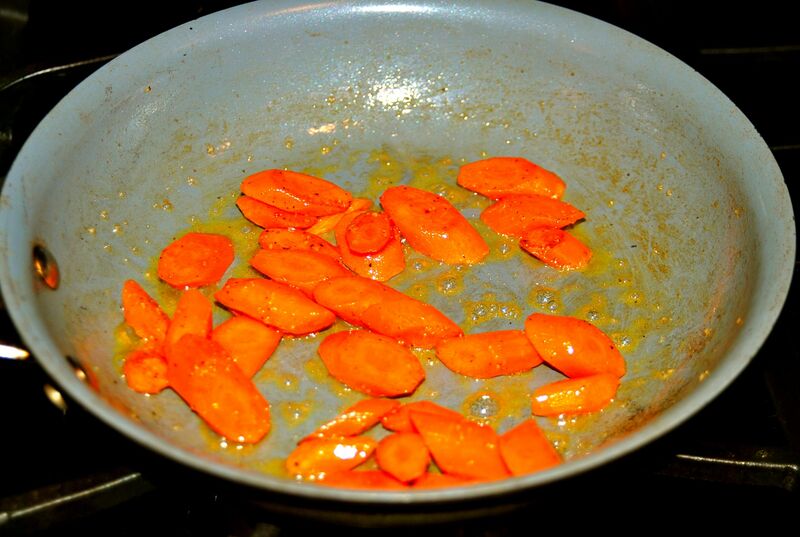 The carrots should be a relatively uniform size so that they cook in the same amount of time. I used four carrots for two people which really didn’t end up looking like a whole lot. 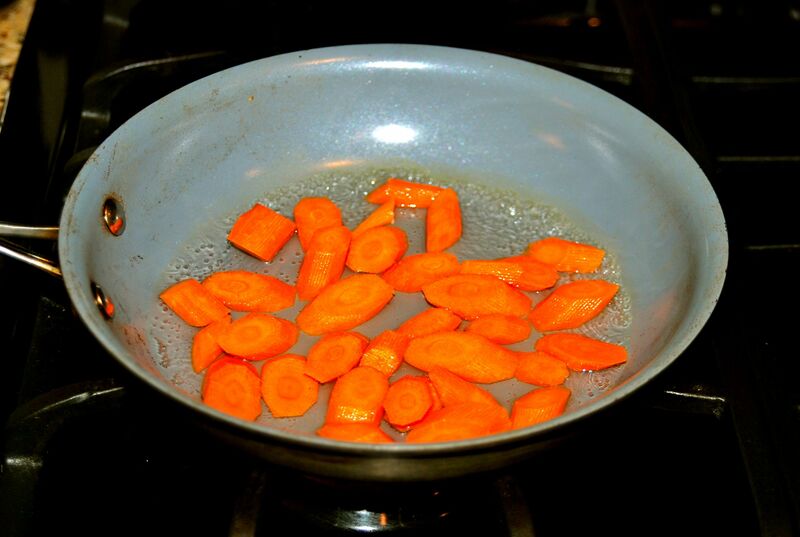 Let those carrots cook in the water until they start to soften. I like mine still pretty crunchy so I let them cook for about 3 minutes. If you want them softer, cook them longer. Test them for your desired softness by poking them gently with a fork. When they are as soft as you want them to be, drain off all of the water. And drop a glob of butter in the pan. 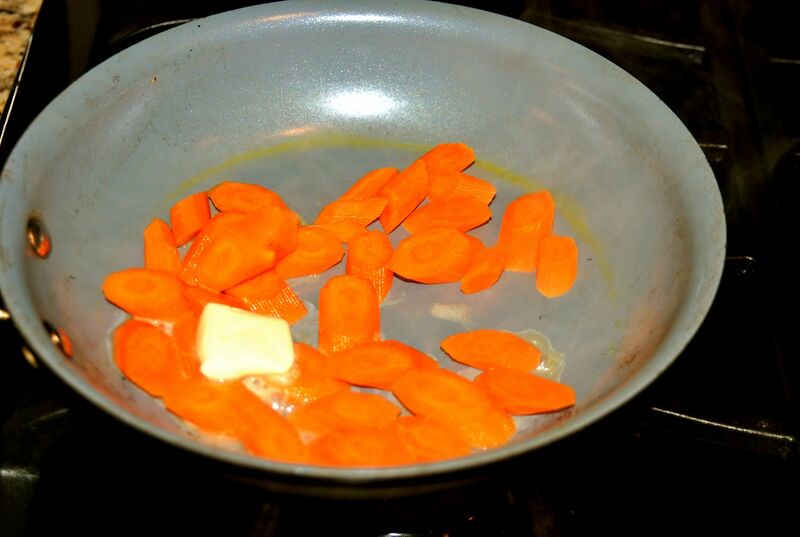 I used less than one T. of butter for the four carrots I was cooking up. Then, oh boy oh boy, drop in some brown sugar. 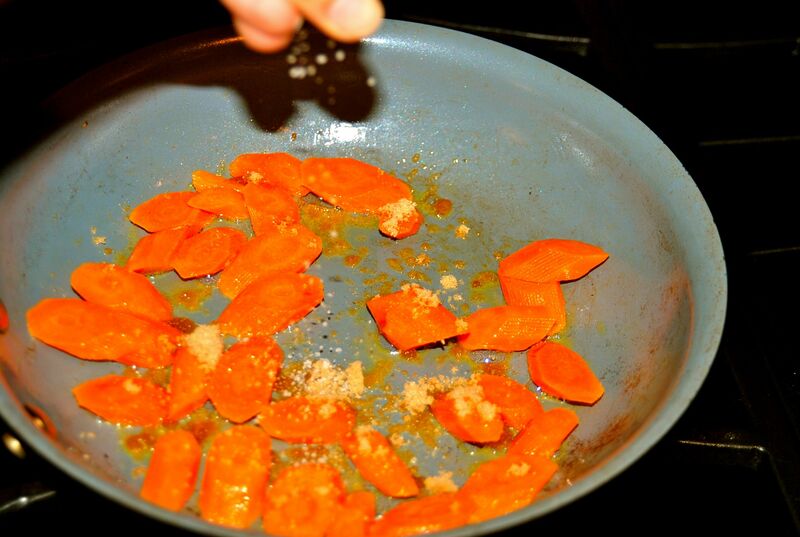 This adds a little sweetness and caramelization to the carrots. 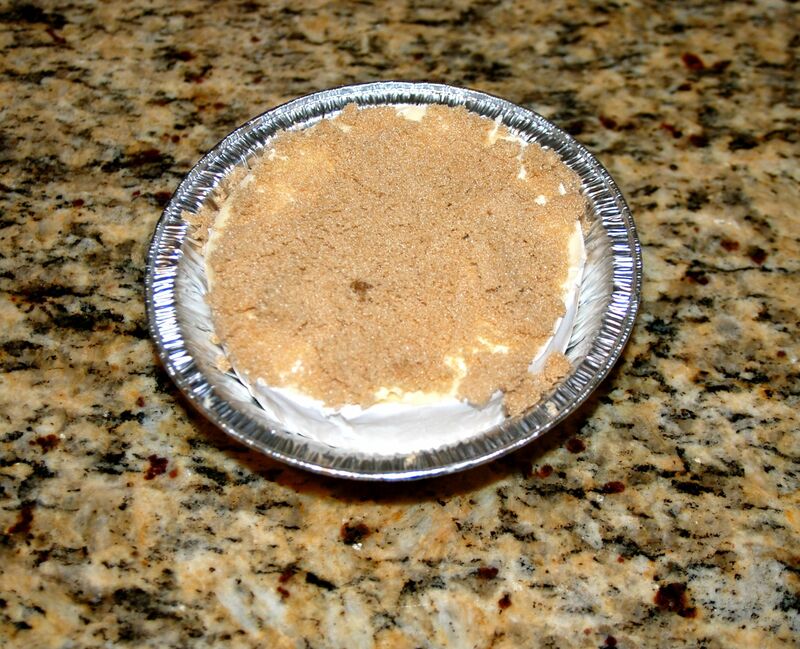 I used about 1/2 T. of brown sugar. Add a sprinkle of salt- about 1/4 t.
And a shot of pepper. 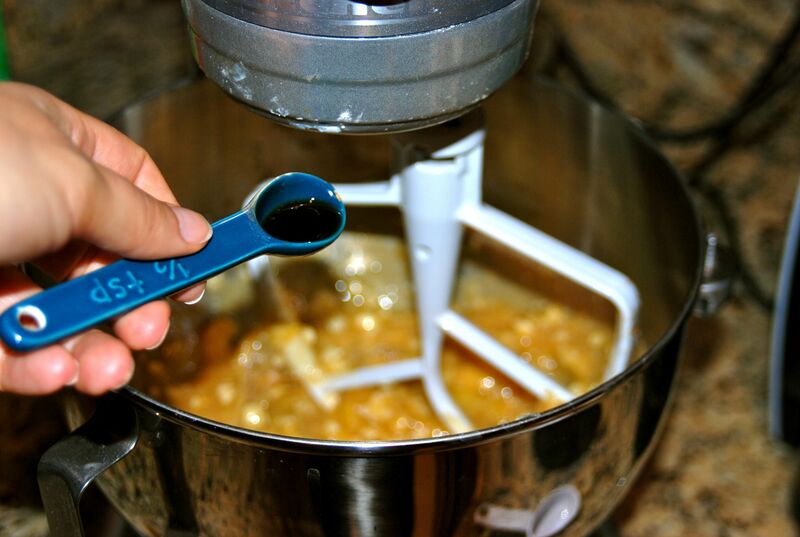 See how the butter and brown sugar start to turn into a deliciously caramel consistency? Well, that coats your carrots and turns them into magical bites of delight. I do declare, carrots shall never be forgotten again! I will choose YOU carrots. The perfect accompaniment for any meal. Hope you all had a weekend as lovely as mine. This is how I feel about chicken from time to time. I know you all must feel the same way. You open up your fridge or freezer, and have a package of uncooked chicken and a tear forms in your eye because chicken is so dang boring. I’m always looking for new and better ways to prepare chicken to break out of my loathing disdain for the bland meat. 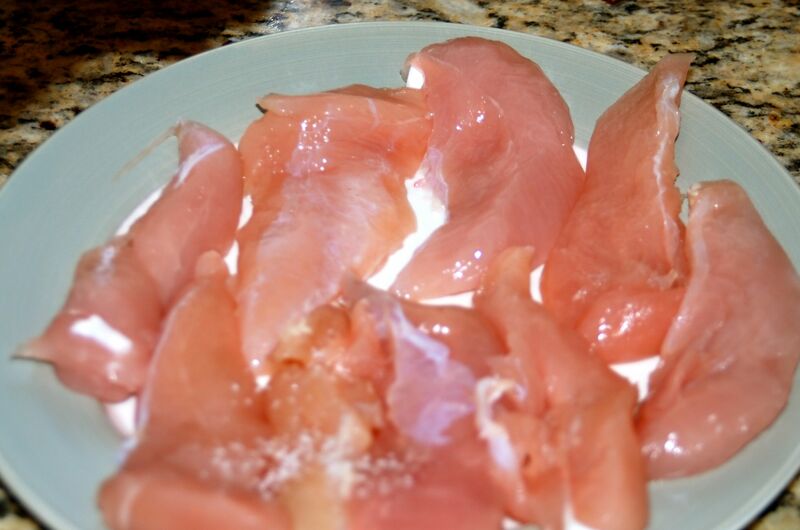 I usually only purchase chicken breasts or chicken tenders because 1) it is a healthier, leaner cut of meat and 2) there are not weird veins and tendons and skin and grossness that cause me to throw up in my mouth as I’m preparing dinner. And today, I shall share with you an old standby favorite chicken recipe. And I promise that even your KIDS will like it. And your mom and dad. I’m not even exaggerating… not even a little. 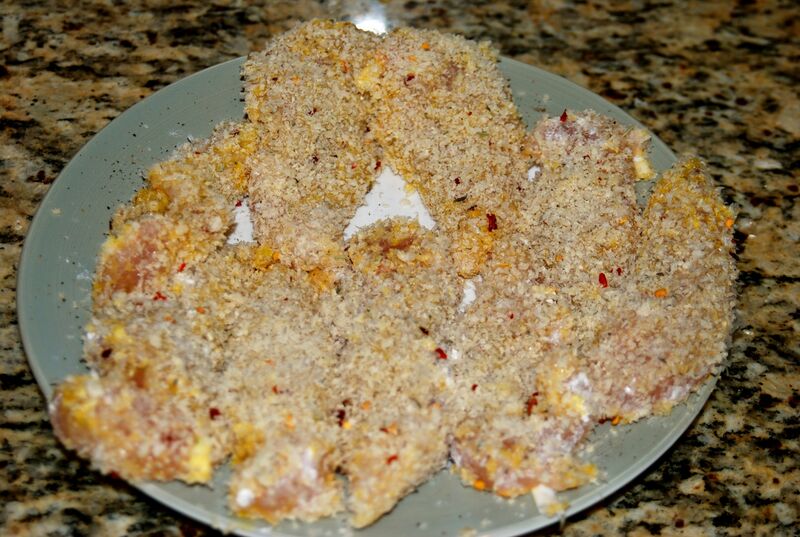 Today, we make some panko crusted chicken tenders with a dipping sauce. I hear kids like anything dip-able. True? One small plate with 2 cups of white flour on it. 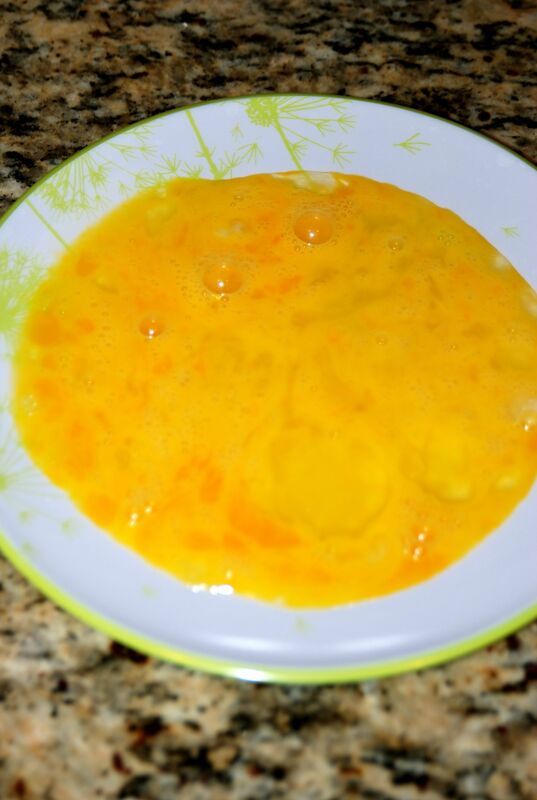 2 eggs all whisked up on a separate plate. 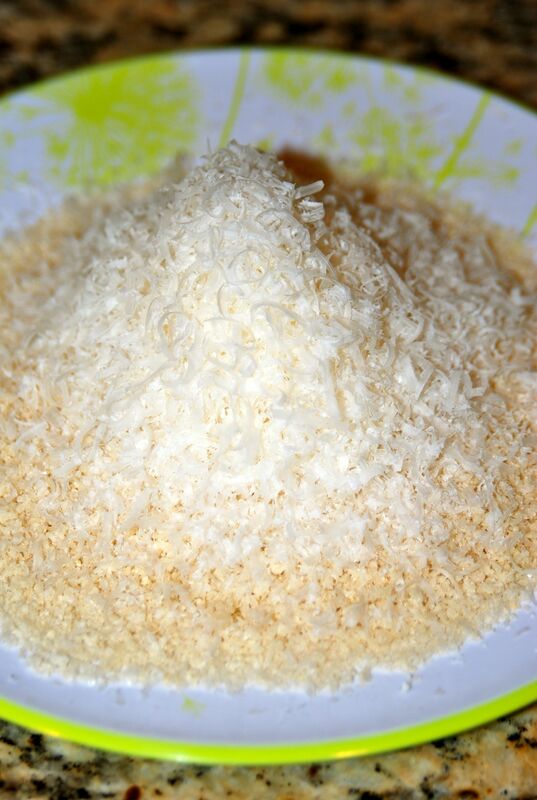 Then a third plate piled high with a cup and a half of panko breadcrumbs. 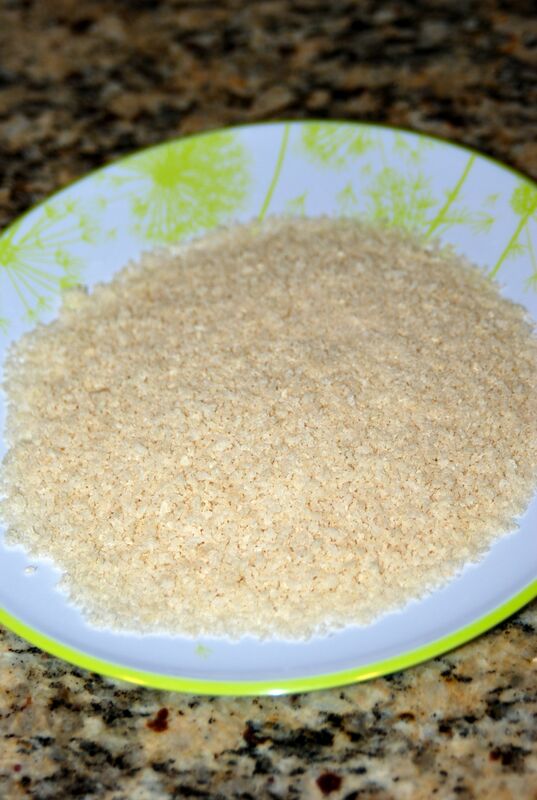 Panko breadcrumbs are Japanese breadcrumbs, and they can be found in the Asian foods section of your grocery store. 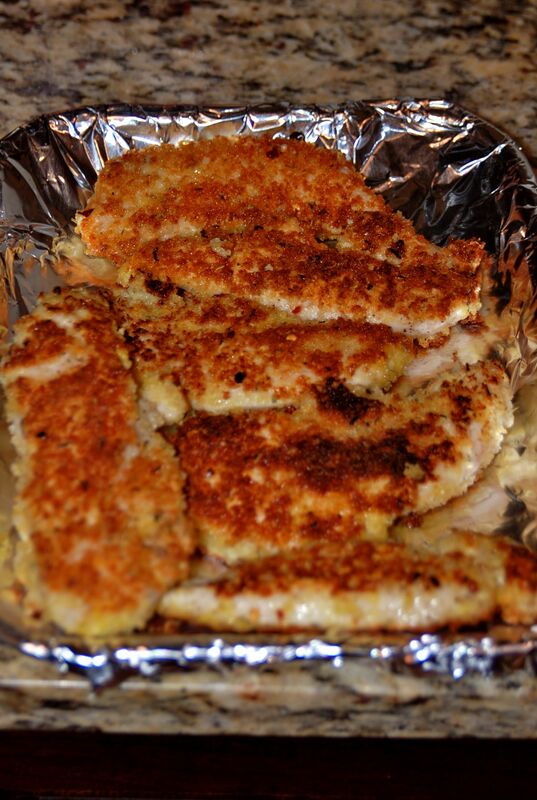 They are much crunchier than regular old boring breadcrumbs. I highly recommend you invest in the Panko. 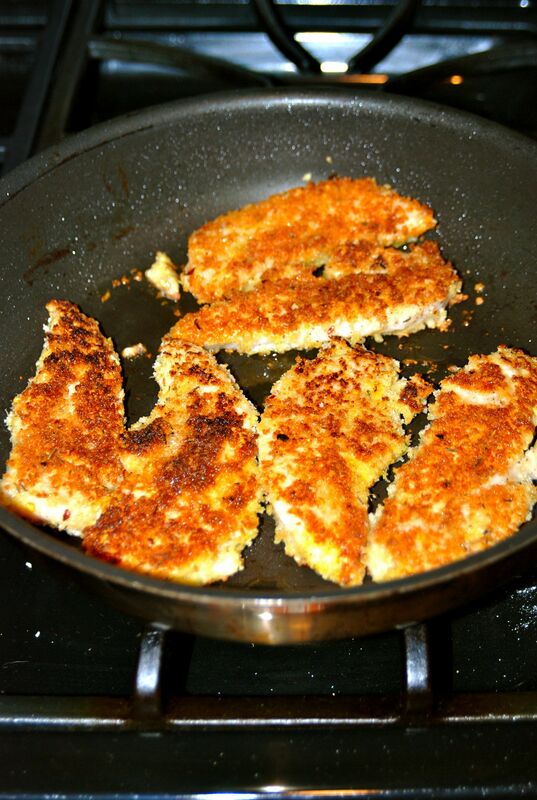 Add 1/2 cup of shredded parmesan to the panko. 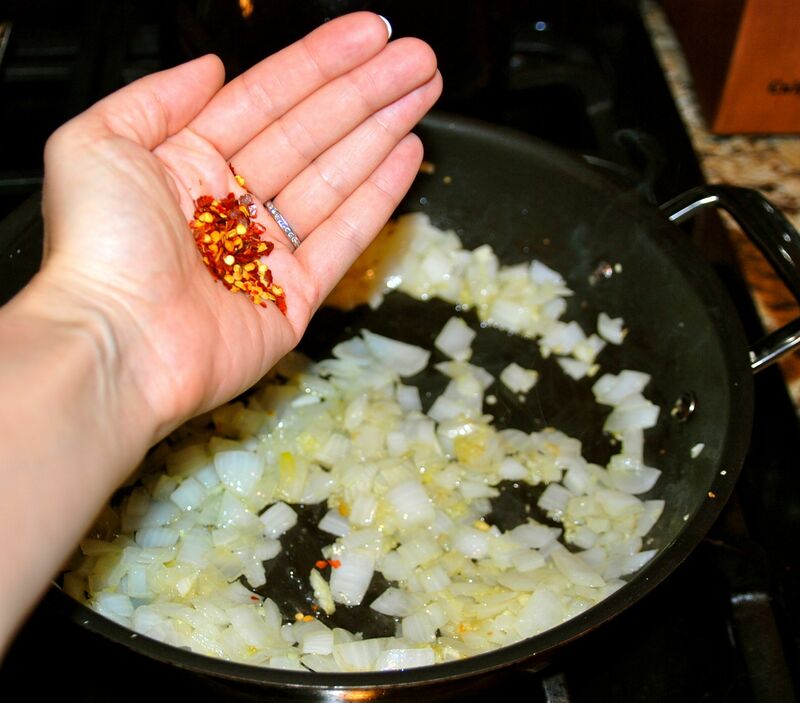 Then add 1/2 t. of crushed red pepper flake, 1/2 t. of garlic powder (or a chopped up clove of garlic), 1/4 t. of thyme, 1/4 t. rosemary. Now, let’s set up our chicken station. Then, flour, egg, and panko mixture all lined all up in a row. Give your chicken a sprinkle of salt and pepper. 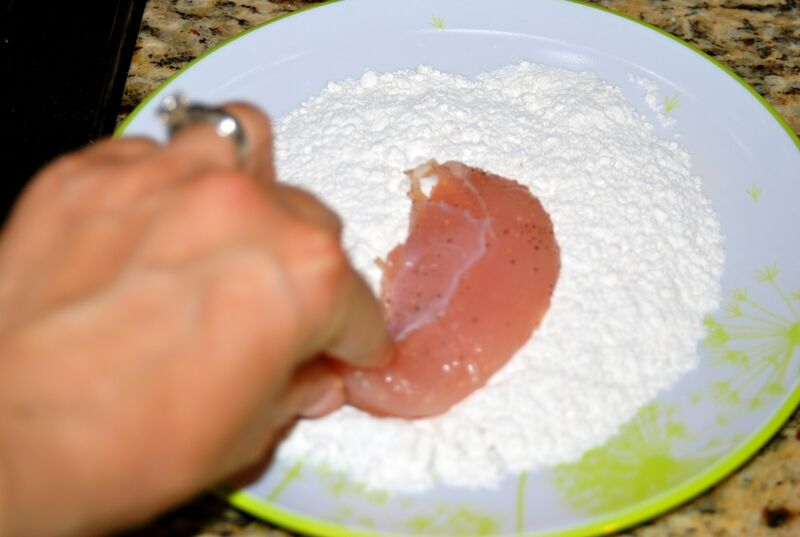 Now, take your first chicken tender and give it a dip in the flour pool. 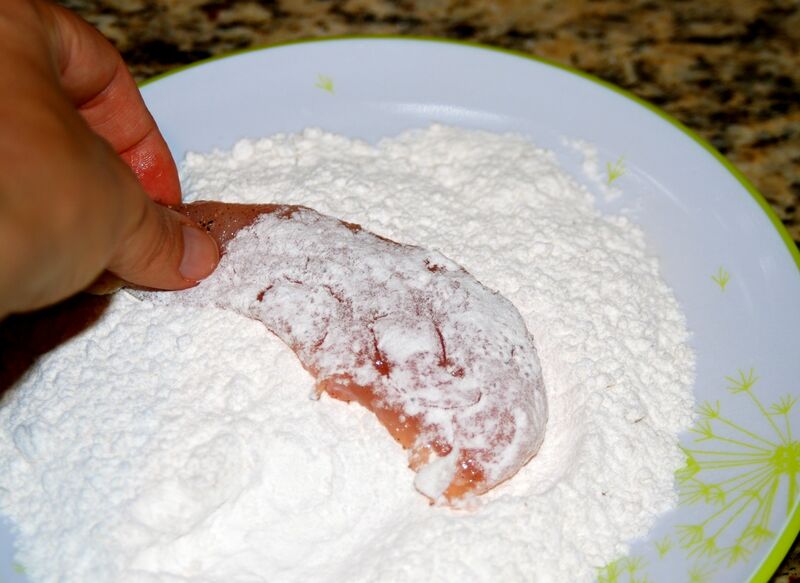 The flour sticks nicely to the raw chicken tender. 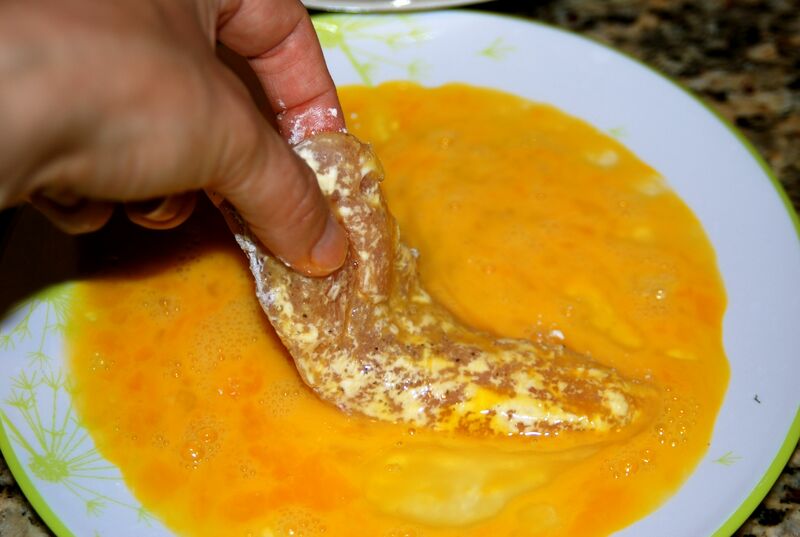 Now, dip that floured chicken into your whisked eggs. The eggs stick to the flour. 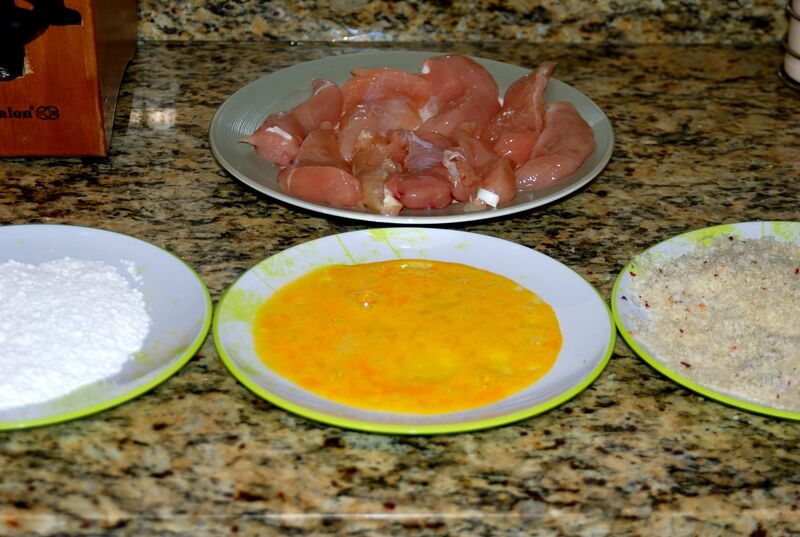 Now take the flour and egg dipped chicken, and coat it in the panko mixture. 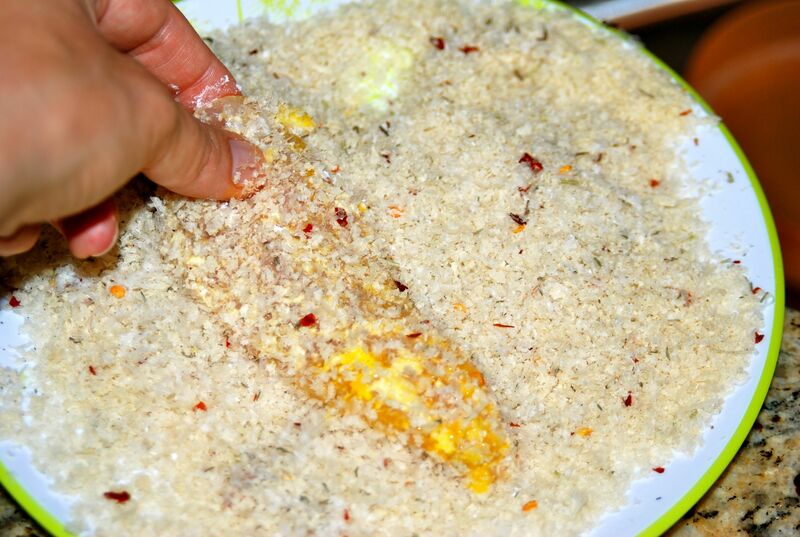 The panko mixture sticks to the egg. Repeat until all of your chicken is coated to perfection. Now, get yourself a non-stick pan. Put it on a burner over medium-high heat. 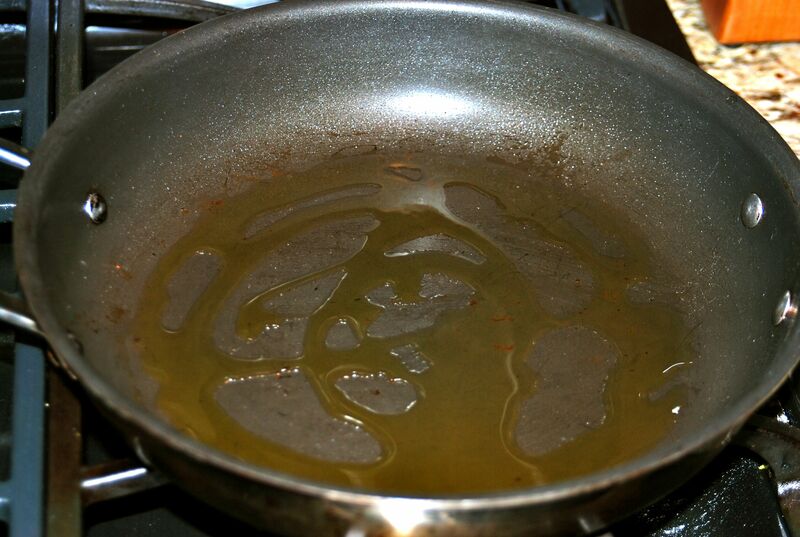 Give the bottom of the pan a good coating of olive oil. 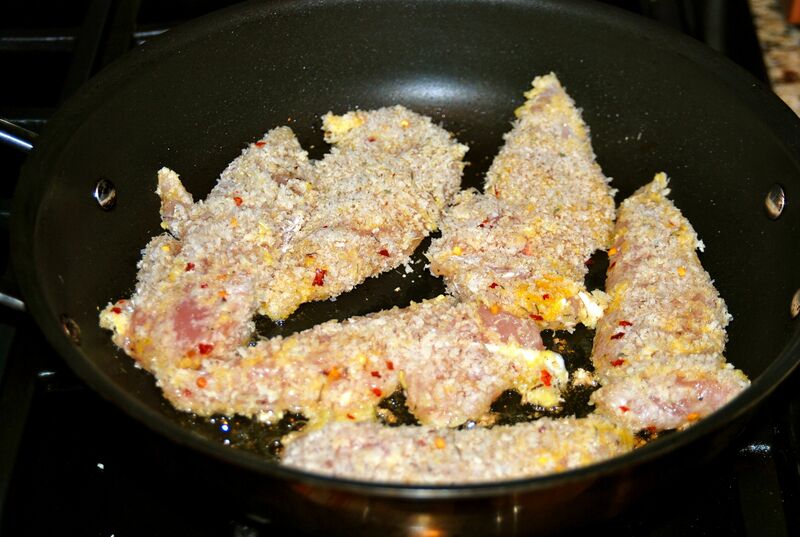 Put your chicken tenders in the pan in a single layer. Let them cook for 4 minutes. Give those bad boys a flip, and let them cook on the other side for 4 minutes. Pull the chicken off the skillet, and place it on a pan that is going to be stuffed in the oven. This will result in crispy, crunchy, perfectly cooked chicken. They key to chicken tasting good is cooking it thoroughly without cooking the moisture out of it. Now, prepare your dipping sauce. 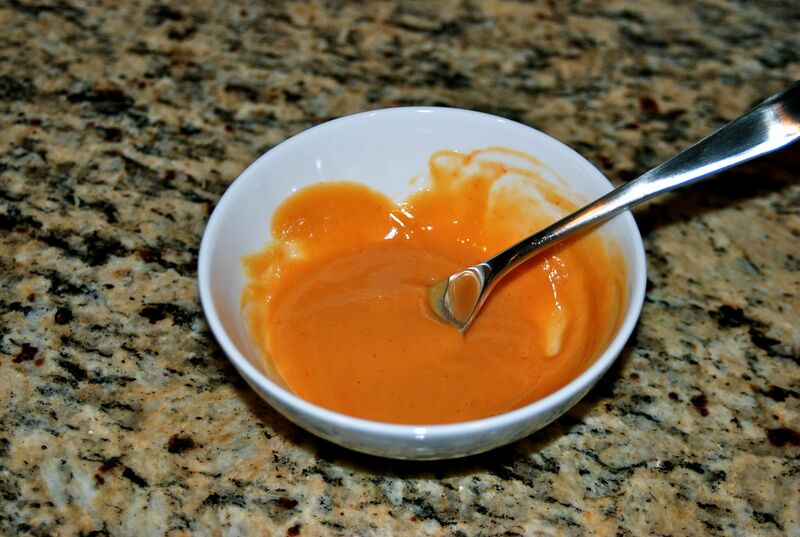 I took some honey mustard and combined it with some hot sauce. Classy. Or whatever else floats your boat! 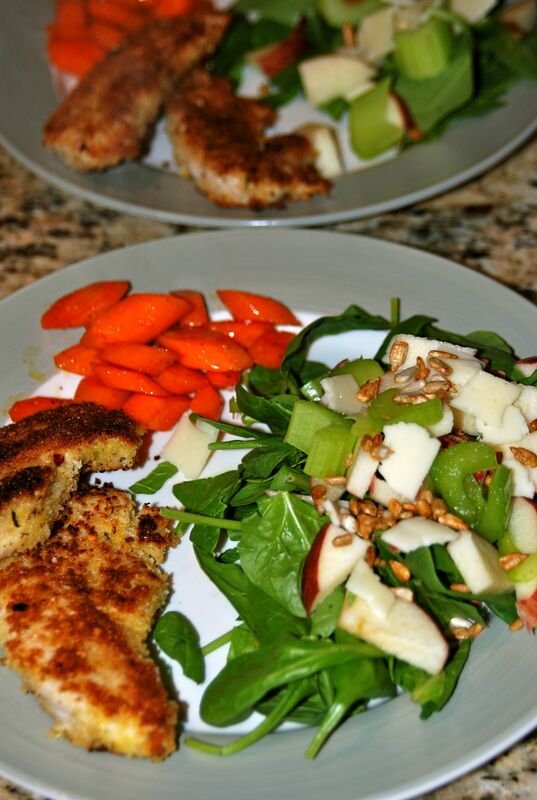 Serve the chicken up on a plate with a big green salad and some sauteed carrots (I’ll be sharing that recipe with ya next week). 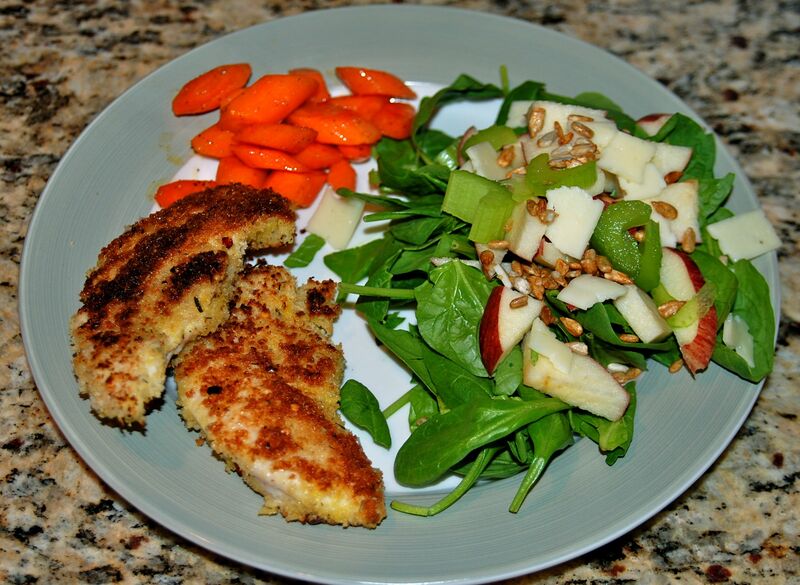 Chicken that is easy and delicious. Oh, and did I mention… that after you have cooked up the chicken, you could easily pop it into air-tight containers and store them in the freezer for an easy and healthy weeknight dinner ? 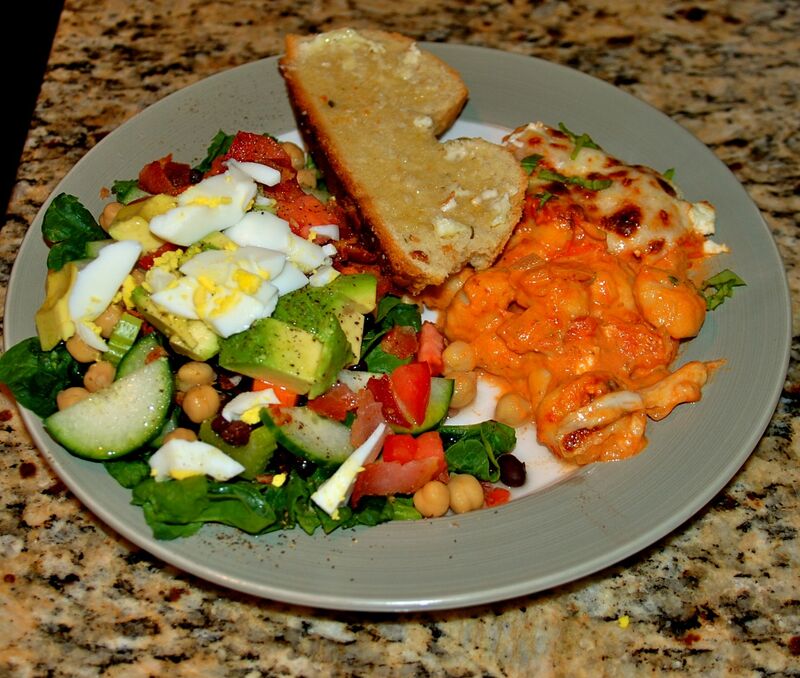 Or make extra to top a big salad for lunch during the week? The possibilities are endless, of course. I love me some banana bread. Well, maybe it really isn’t a problem. I guess I just wanted to get your attention. Anywho, I keep trying to reinvent Banana bread so that it can be the best version of itself. I am like a banana bread life coach. 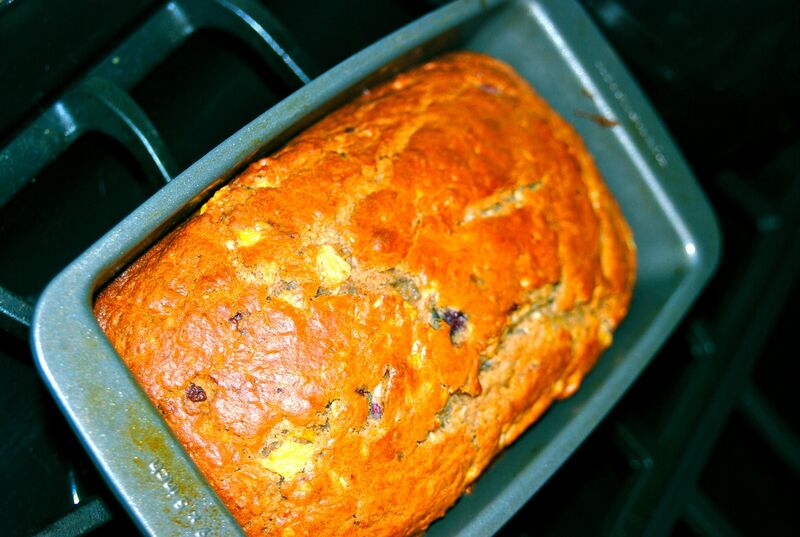 A while back, I posted the recipe for Strawberry, Blueberry, Banana Bread. 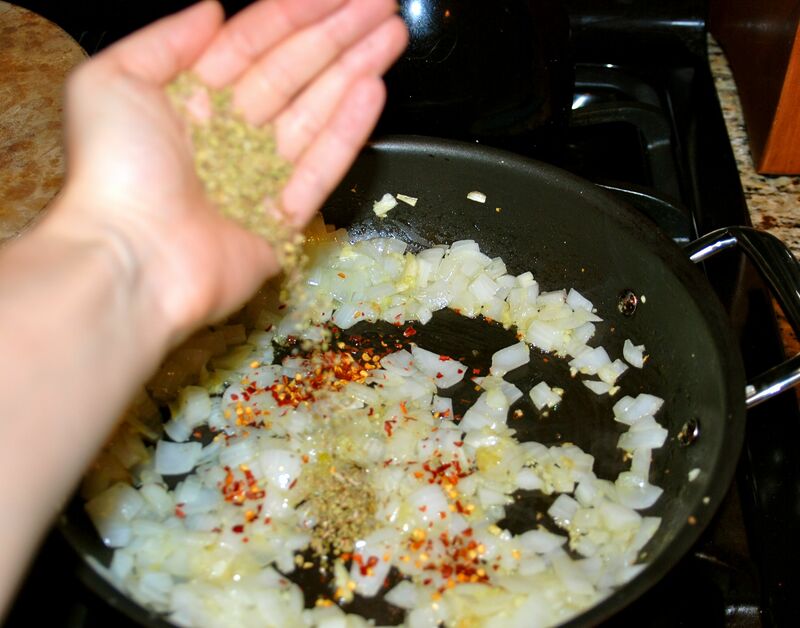 I make this recipe often, and I still love it. But I was feeling creative this weekend. 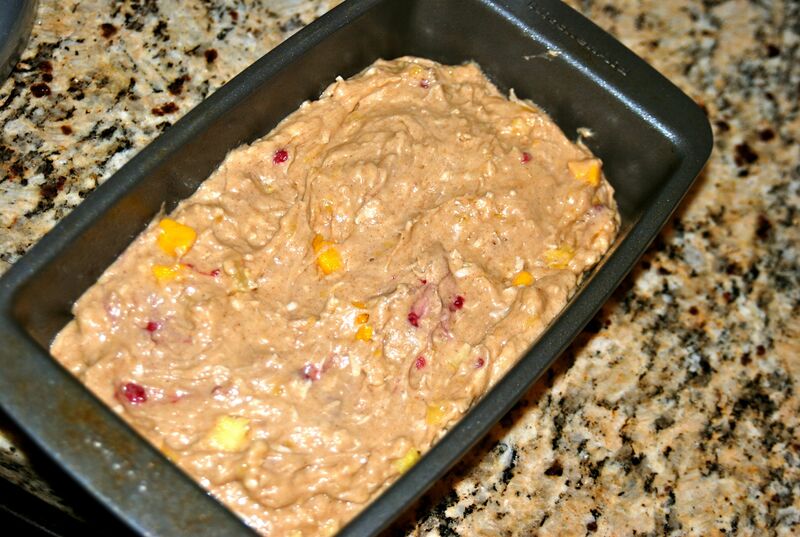 So without further ado, I give you the Pineapple, Mango, Coconut, Raspberry, Banana Bread. You could also call this the “Use whatever fruit ya got in the fridge Banana Bread”. I think I need to work on my recipe names. My blogger friend, Geni, made these Pineapple Coconut Muffins that served as a bit of an inspiration for my baking attempt. 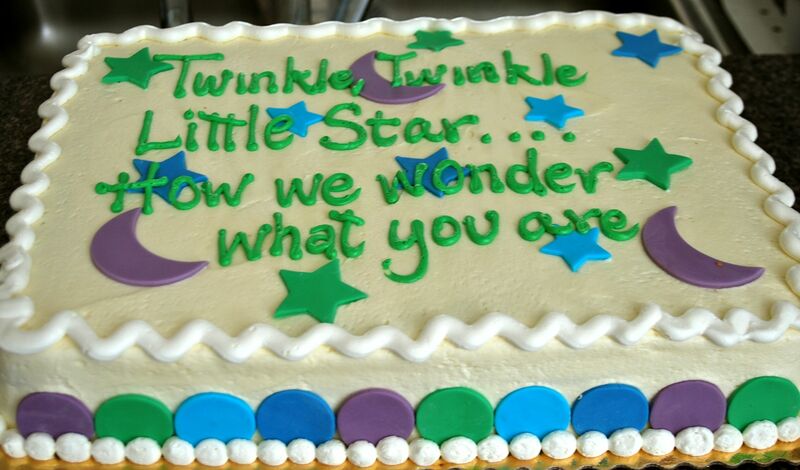 I do not excel at all things baking. At all. But I can make a mean banana bread. So, here is what you’ll need. 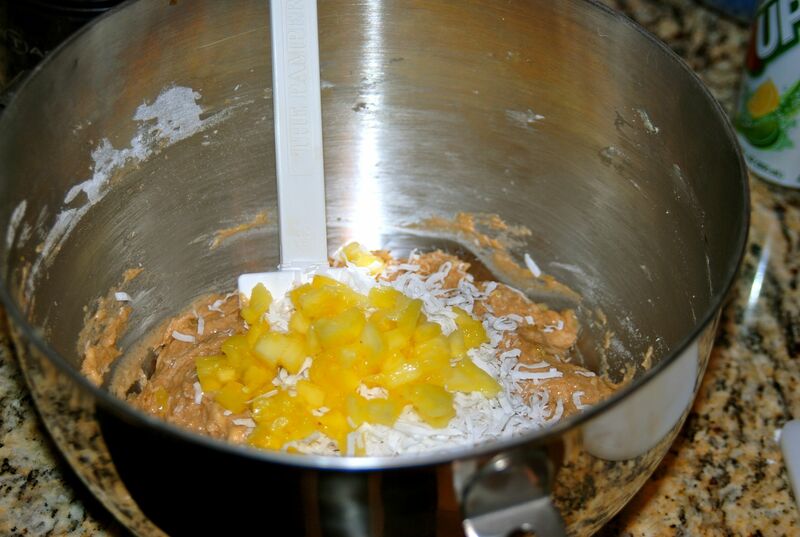 Flour, brown sugar, 2 eggs, butter, baking soda, salt, vanilla, 2-3 overripe bananas, 1/2 cup of shredded unsweetened coconut, 1/4 c. of chopped mango, 1/4 c. of chopped pineapple, and 1/4 c. of frozen or fresh strawberries. 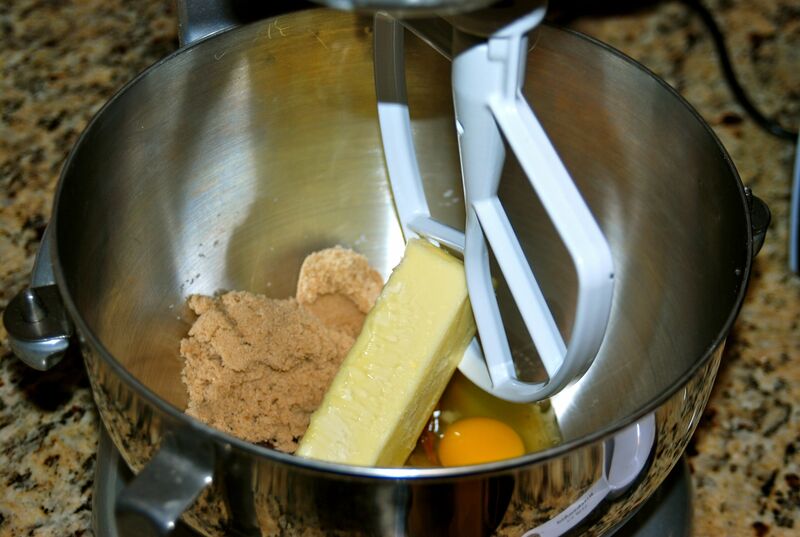 Start by mixing one stick of butter with 3/4 c. of brown sugar. Don’t add your eggs in at this point, like I did. It made for a very strange consistency of batter; however, the bread turned out fine. 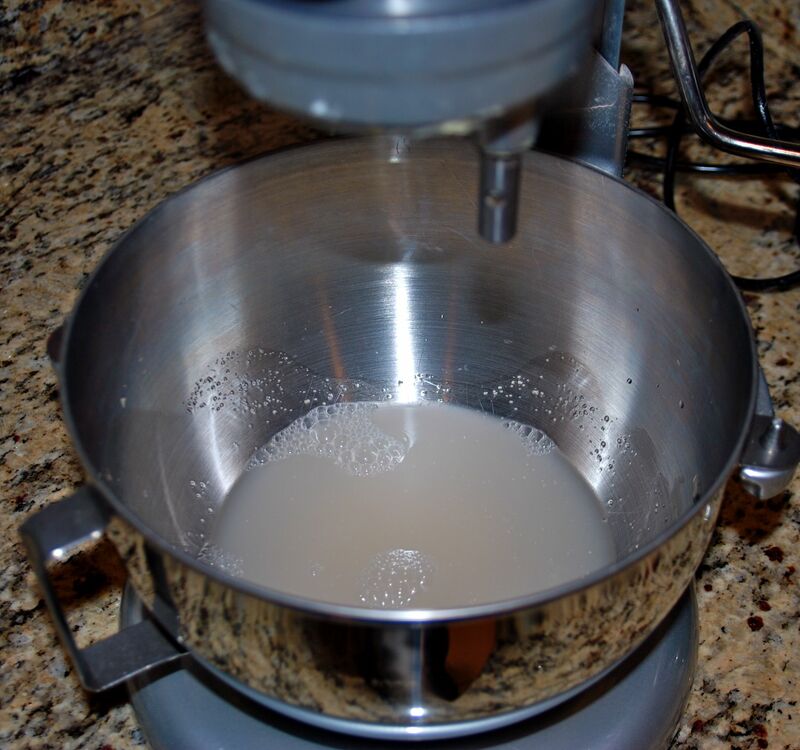 You should cream your butter and sugar, and THEN add two eggs. 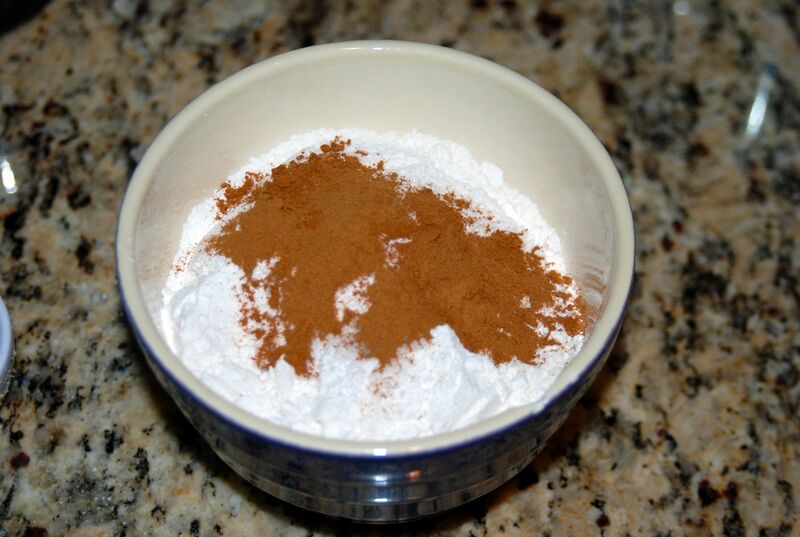 In a bowl, combine 2 cups of flour, 1 t. baking soda, 1/4 t. salt, 1 t. cinnamon. Set that aside and peel a very ripe banana. But this banana looks especially phallic to me. Its not just me, right? 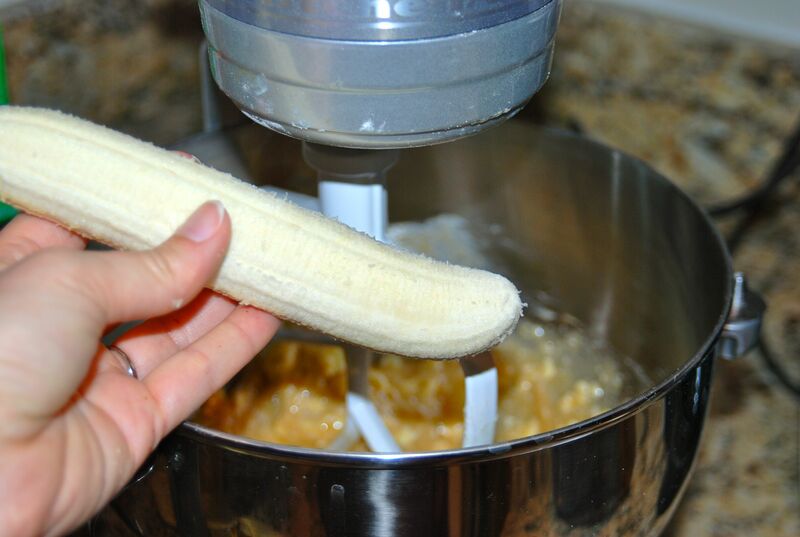 Plop 2-3 bananas into your mixture. Add in 1 t. of vanilla. Please continue to note the strange consistency of my batter due to the adding of the eggs prematurely. 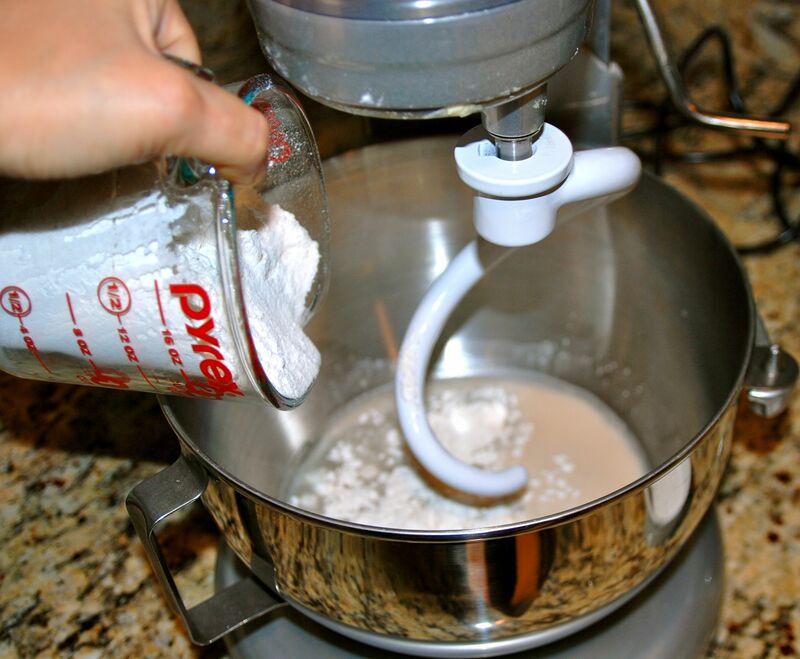 Pull your mixing bowl away from the mixer, and hand mix in your dry ingredients. Ah, the consistency is looking a bit more palatable now. And some chopped up pineapple. Raise your hand if you die for mango. At this point, I was just rooting through my fridge and freezer to determine if any other fruit needed to be a part of this bread. And I found a pathetic little handful of frozen raspberries. And I knew they would be the perfect fit. So, I threw them in. 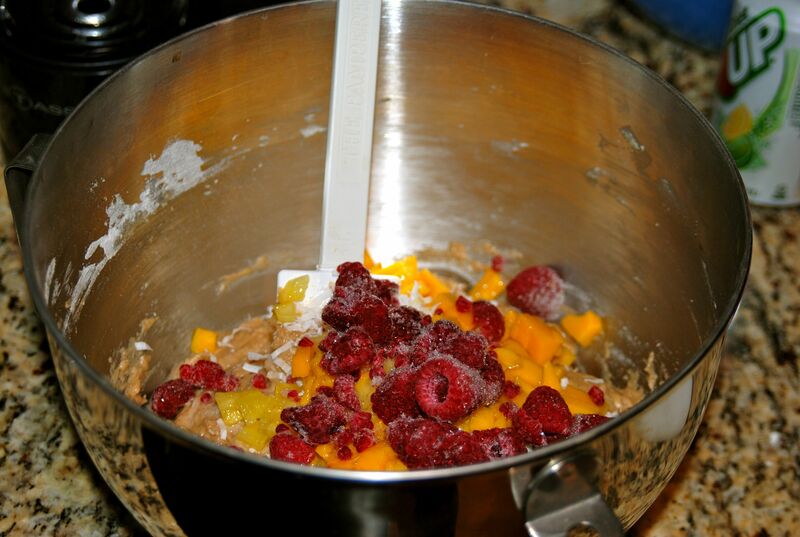 Gently mix all of those glorious fruits into your batter. 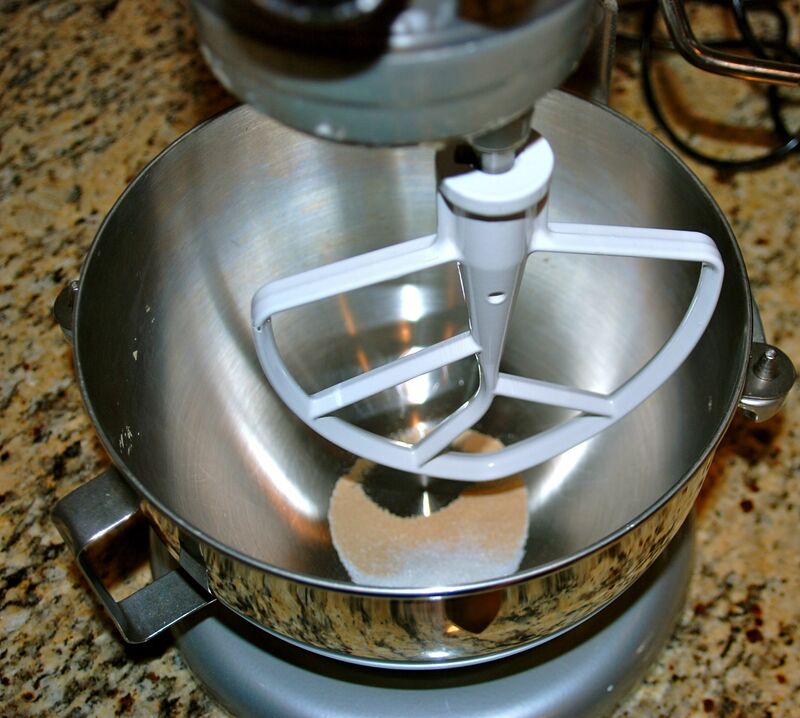 Pop that batter into a buttered and floured cake pan. Throw it into your oven for 55-65 minutes at 350. I started checking for doneness with a toothpick at around 55 minutes. Then, I checked in 5 minute increments after that. At exactly 65 minutes, my bread was done to perfection. I allowed this to cool a bit on the counter. Then, I sliced off a big ole hunk, and I slathered it with butter. Mmmmm. Then, I sliced the rest of the bread up and I popped it into baggies for easy grab n’ go breakfasts this week. I have been enjoying a slice of this tropical goodness everyday this week. Sunday brought sun and warmth to Cincinnati. I actually wasn’t sure it was ever going to show up. If you are an Ohioan, please make me feel less crazy and confirm that this was officially the longest winter ever. So, Sunday dawned gloriously warm- over 80 degrees. Our poor yard needed some serious tending to so that was the deal for the day. We went to the nursery, and we loaded up on a tree, a bush, and all of my herbs for the summer season. And by the time we got home we needed some lunch for fuel before toiling in the fields. Want to know what I made? The most summery dish I could think of. Was it at least organic? Was it definitively summer and delicious? So, who cares about the rest? Ladies and gentlemen, I give you the hot dog. Because truth be told, even someone like me… who prides herself on home-cookin’, heathy eatin’, and responsible food choices… needs a dirty dog every now and then. 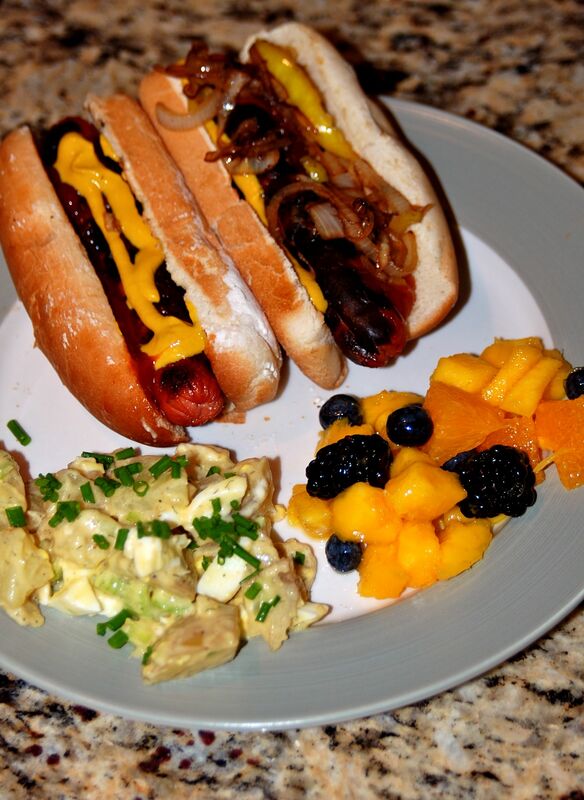 I sauteed up some onion and banana peppers to top off the dogs. Served up with potato salad and fruit salad. It is the perfect lunch to kick off the spring/summer. Oh, and did I mention that I drank some Fresca with this fabulous meal? 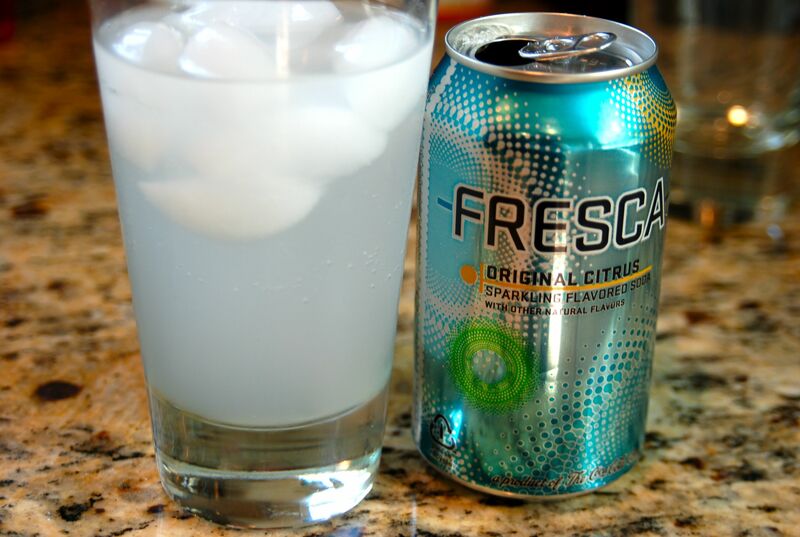 There is not a drink much better than Fresca. Look it up in the encyclopedia… under the letter “F”. Those dirty dogs fueled a full afternoon of digging and planting and soaking up the rays. We got all of the planting finished, then had dinner over at Brad’s aunt and uncles house. Glorious. Today, the skies opened up and watered our plants in their brand new home.